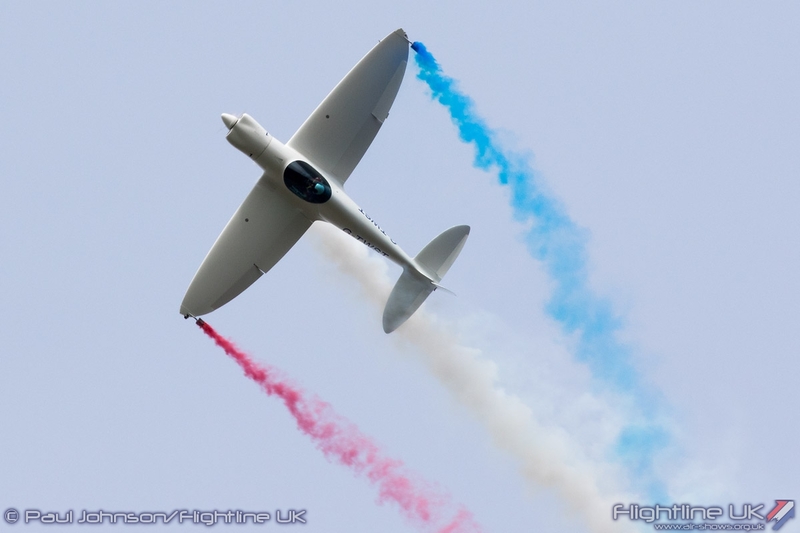 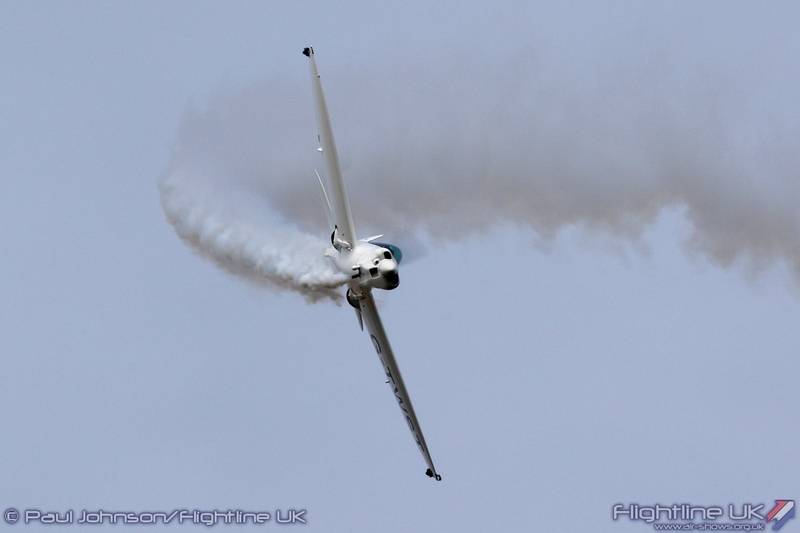 The May Day Bank Holiday Weekend is the usual starting point for the UK Airshow Season with the Abingdon Air & Country Show. 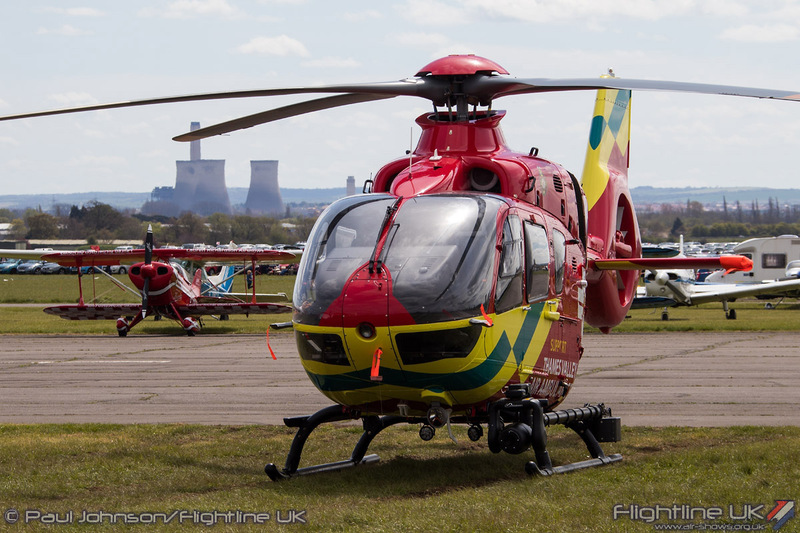 Run by Volunteers, the event supports local charities and in particular, the Thames Valley Air Ambulance charity. 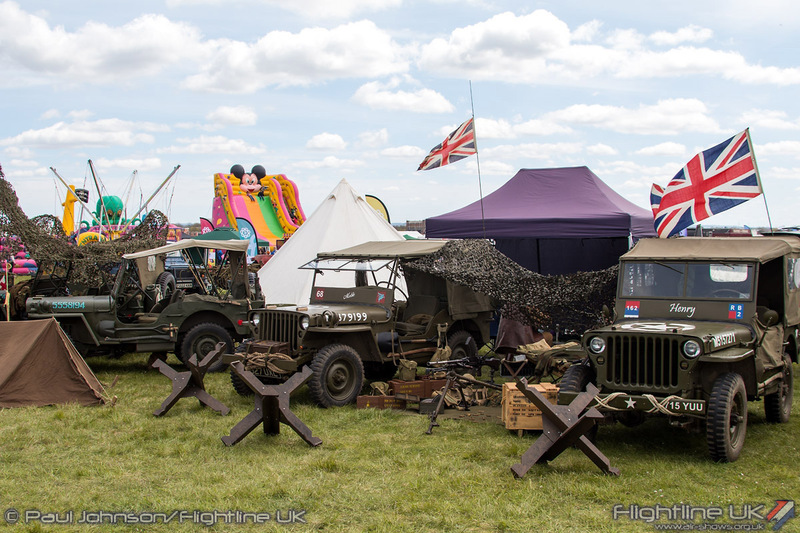 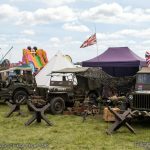 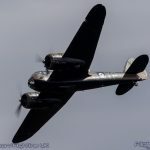 While the aviation element has become the major attraction of the Show, it retains the charm of local country fair with classic cars, steam engines and arena displays. 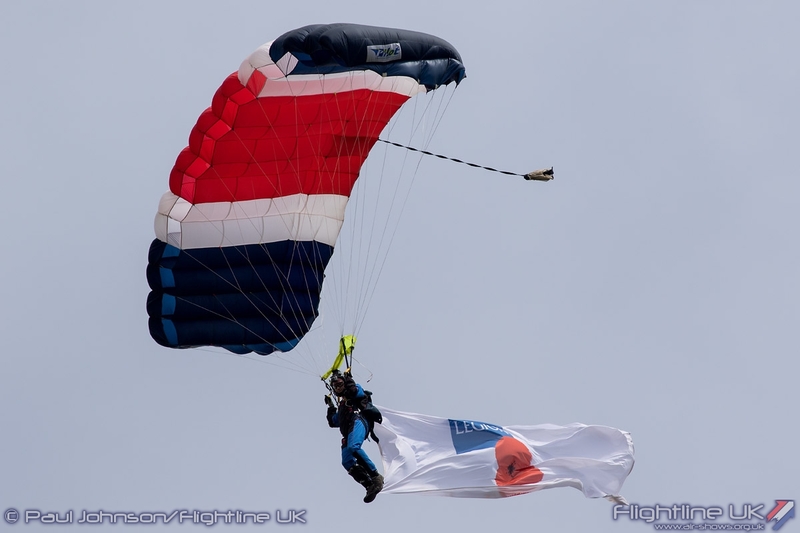 This year saw all sorts of challenges thrown at the organisers but they came out on top with an enjoyable opening event to the 2016 season. 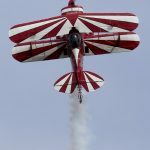 It’s never an easy task being the first event of the season, but this year perhaps it was more challenging than usual for Abingdon. 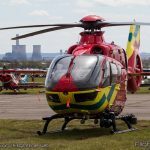 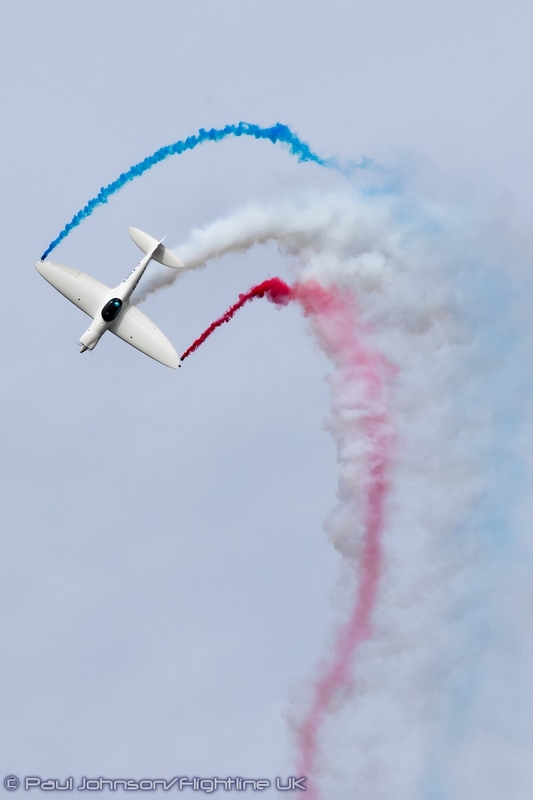 Air Display safety has been thrown into sharp focus over recent months which has resulted new, tougher regulation for both civilian and military regulation leading to a great deal of change. 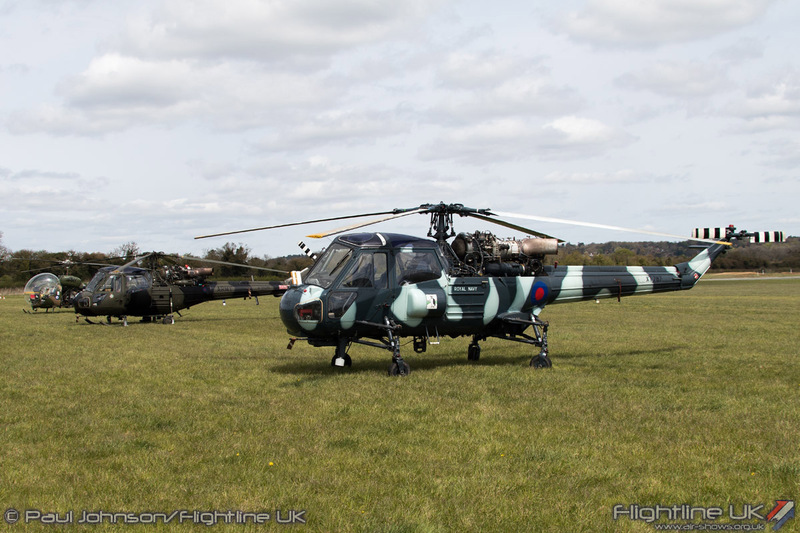 Abingdon has seen more than most as the flying displays fall under the regulation of the Military Aviation Authority as the airfield remains the property of the Ministry of Defence. 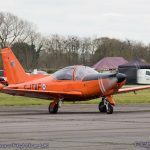 The changes require a huge amount of work, and full credit must go to the Abingdon team for getting through the necessary work for their event. 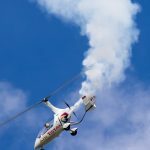 Adding to the list of challenges this year was a very fluid list of flying display participants which seemed to change by the week for various technical and administrative reasons. 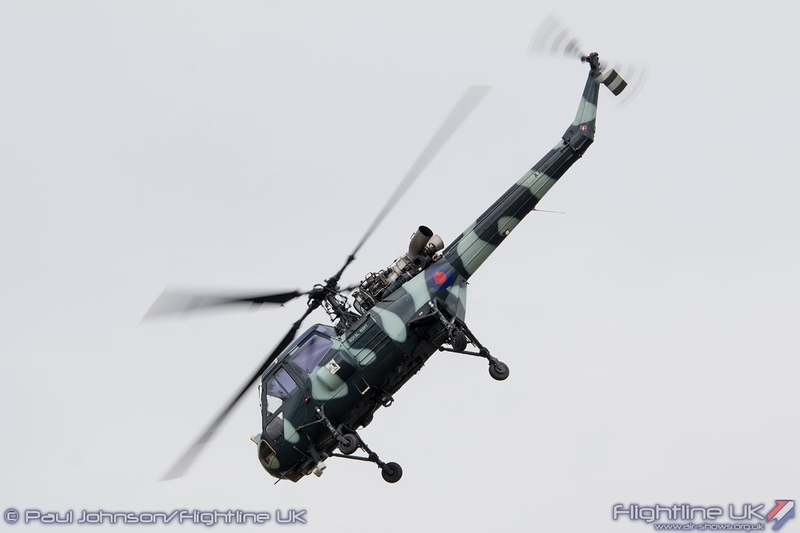 Compounding this was the late loss of RAF Chinook and Puma helicopters from the static display due to paperwork issues. 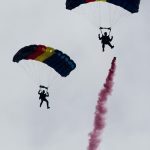 It must have been incredibly frustrating for the hard working organisers. 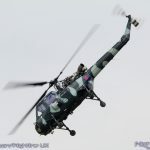 In the absence of RAF Helicopters on the ground, the star attraction for many was the Belgian Air Force NH Industries NH90TTH from Beauvechain Air Base. 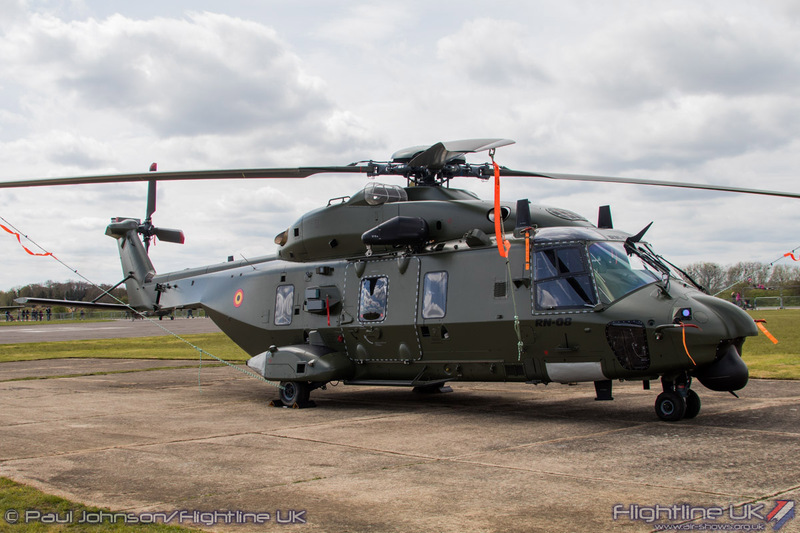 Belgium operates a mixed fleet of NH90s in the Battlefield Support and Search and Rescue roles. 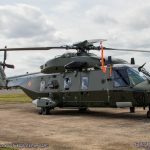 For the latter, four white NH90NFH variants are currently operated from Koksijde Air Base alongside the outgoing Sea King Mk48 helicopters. 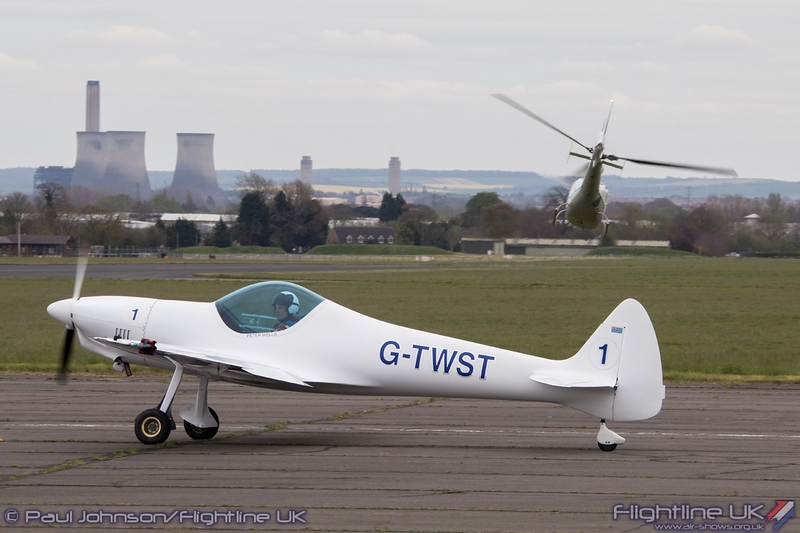 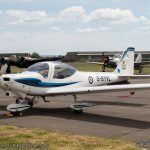 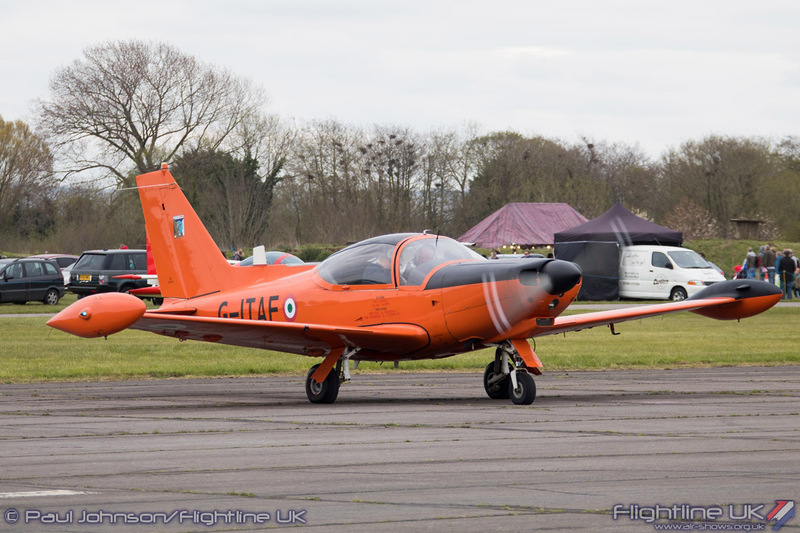 Completing the military presence on the ground were a Grob Tutor T1 from Oxford University Air Squadron and a Grob Vigilant T1 from 612 Volunteer Gliding School. 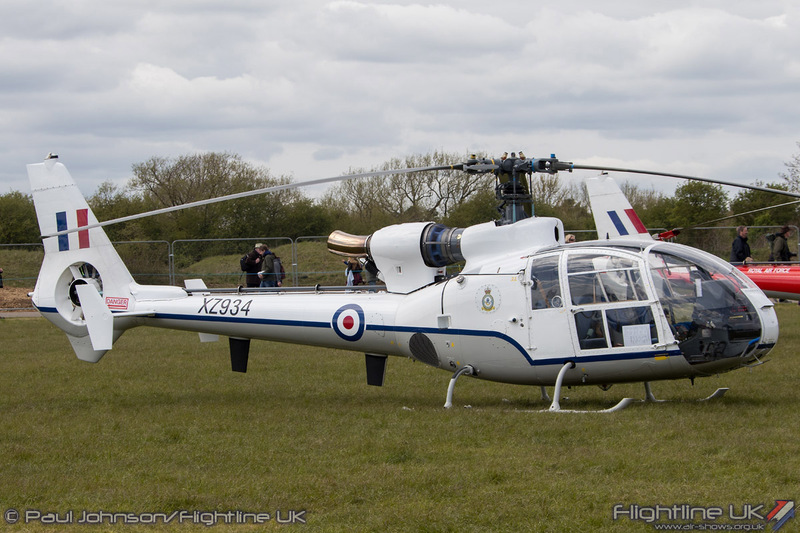 It was a sad goodbye to the latter, which is Abingdon last resident flying unit. 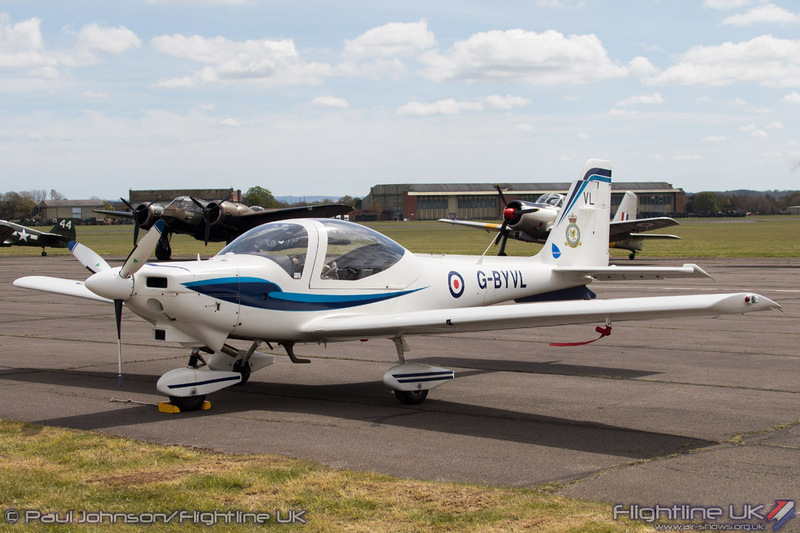 The fleet of aircraft for Air Cadet flying is currently rationalised around few, but bigger units which sadly means 612VGS will disband later this year. 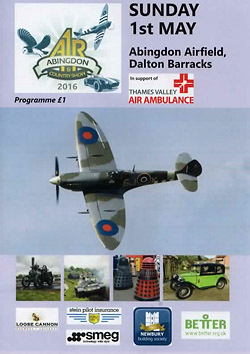 Over the years, they have been great supporters of the events at Abingdon and they will be sadly missed. 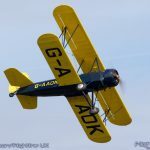 As usual for Abingdon, supporting the flying display was a large fly-in of aircraft which includes all manner of historic and military types. 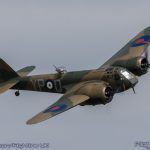 Abingdon was incredibly fortunate with the weather which stayed fair throughout the event, though elsewhere in the country it was difficult and forecast to deteriorate which did lead to a number of fly-in aircraft withdrawing. 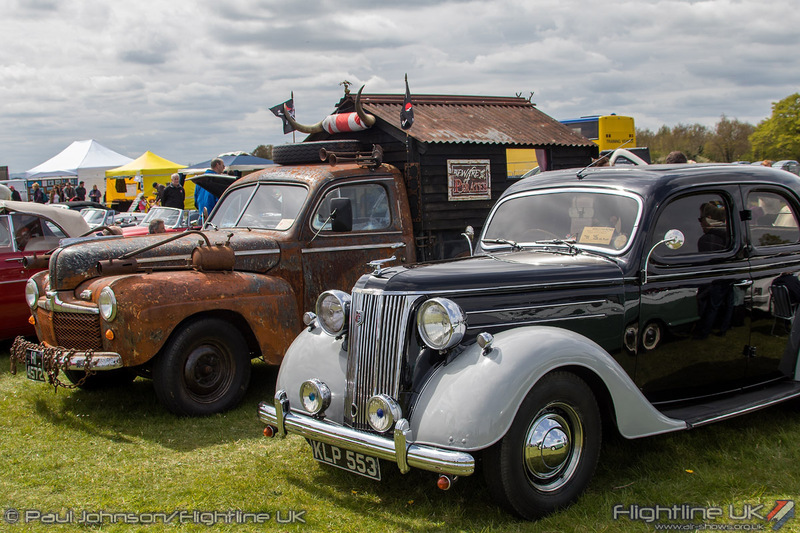 However, there were still a number of very interesting types that managed to make it to Abingdon. 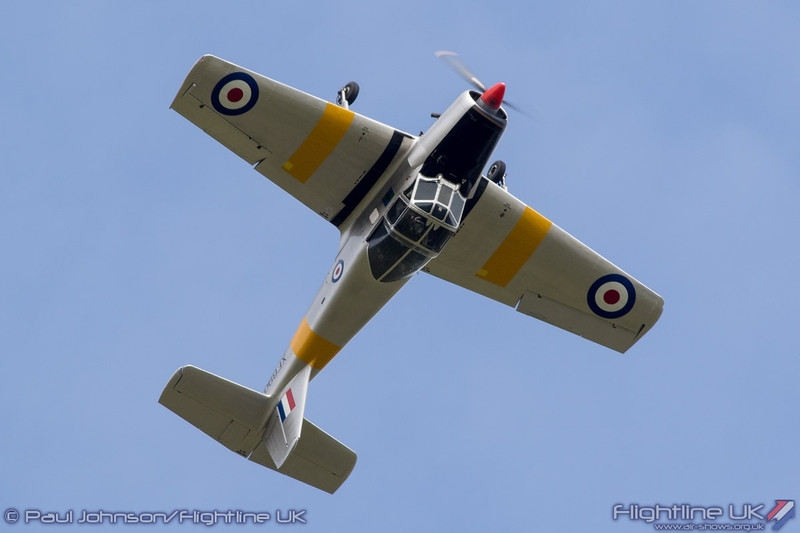 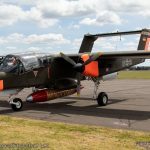 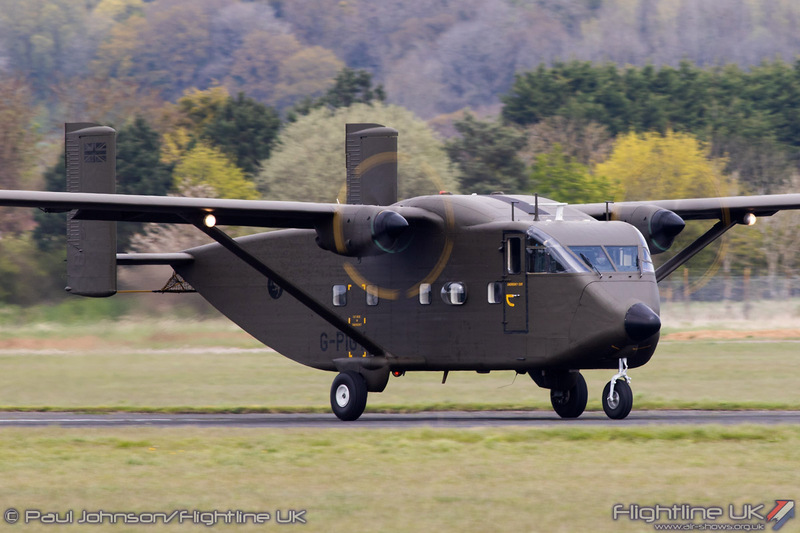 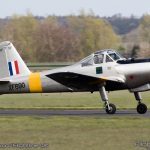 The Bronco Demo Team are regulars at Abingdon and return to 2016 will their North American OV-10B Bronco and Shorts SC7 Skyvan. 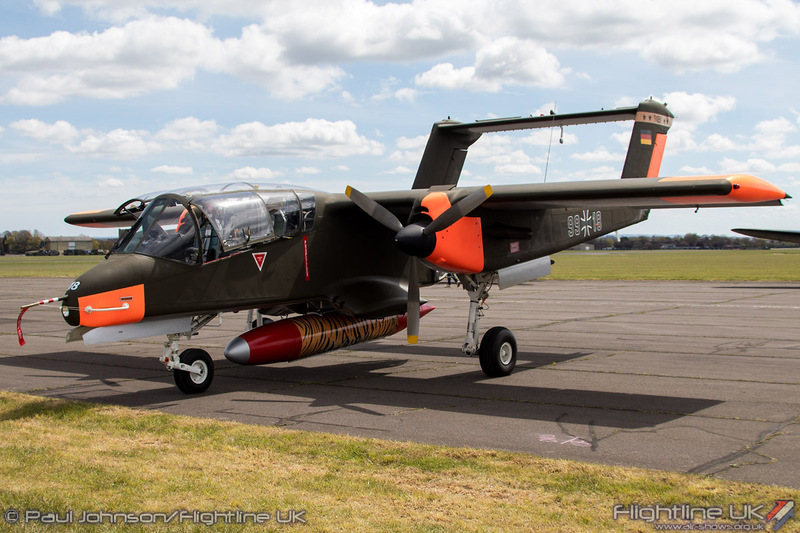 The former is sporting new “Tiger” markings on the ventral pod and tailfins for 2016. 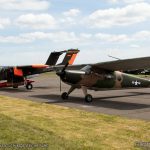 Alongside the Bronco was another rare American classic, the Helio U-10 Courier wearing USAF South-East Asia theatre camouflage. 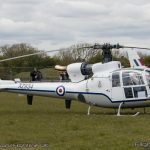 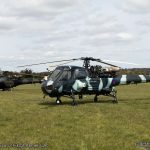 The Gazelle Squadron were another organisation to make a substantial contribution with two examples of Royal Air Force Westland Gazelles in training and VIP/liaison roles. 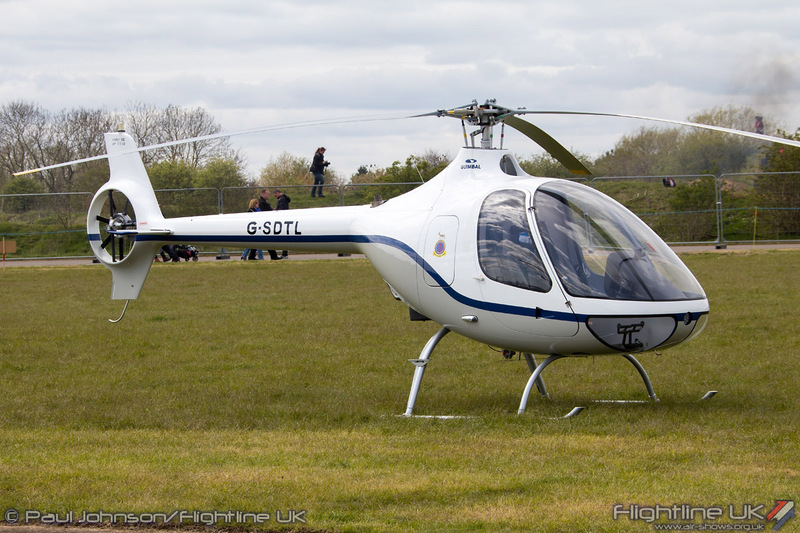 They also brought their Guimbal Cabri helicopter in too. 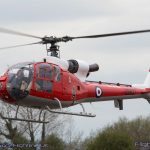 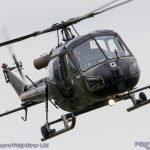 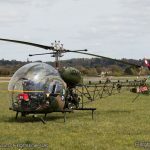 Adding to the historic rotary flavour was the Army Air Corps Historic Aircraft Flight Trust’s SARO Skeeter AOP12 which was brought in by road from Middle Wallop. 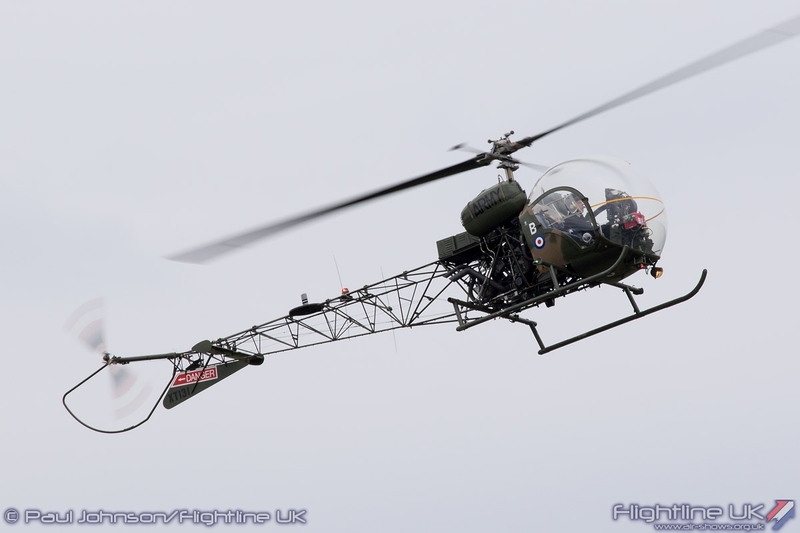 The afternoon flying display was a very relaxed affair. 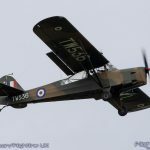 Under the stewardship of John Davies, the display was organised to get the best out of the weather which was forecast to worsen towards the end of the afternoon. 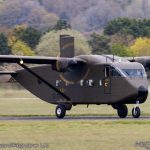 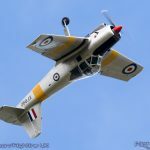 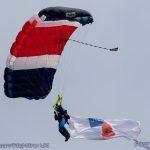 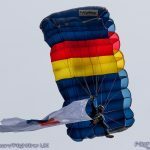 It was opened by the Jump4Heroes Parachute Display Team which dropped from Shorts SC7 Skyvan from the Bronco Demo Team. 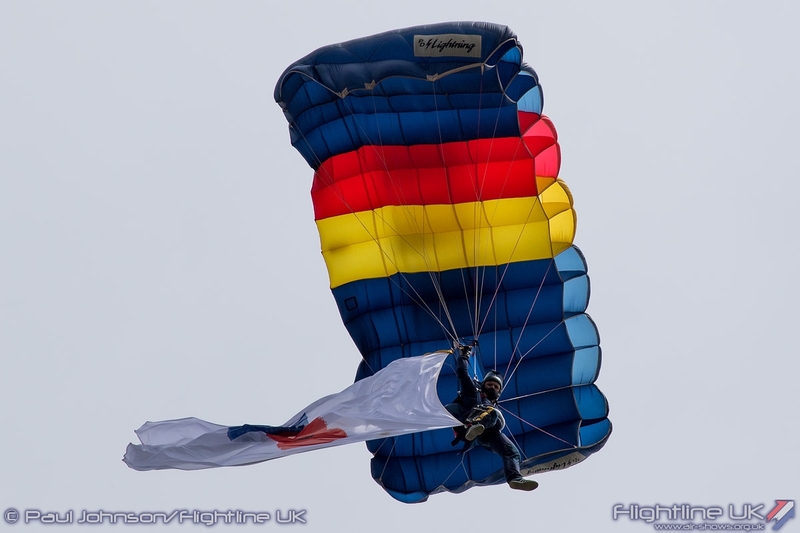 The team are the Royal British Legion’s own parachuting and human flight team and raised awareness for the Legion. 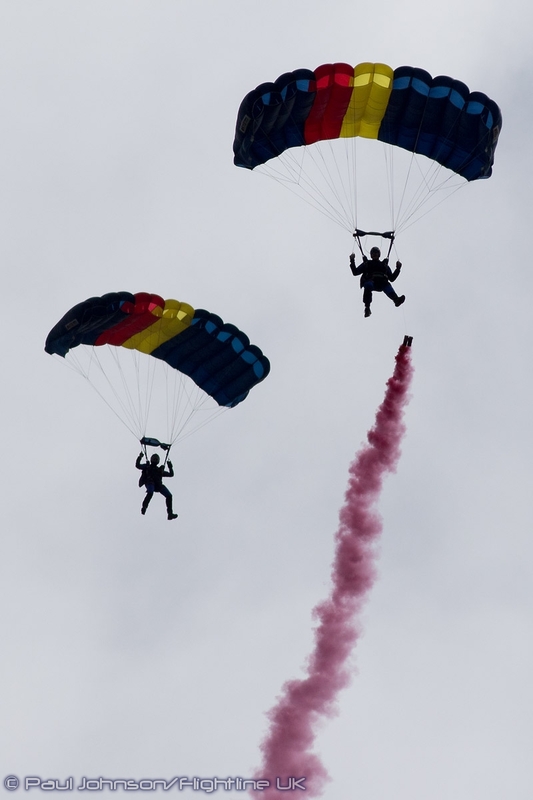 All are serving British Army personnel and jump in their spare time. 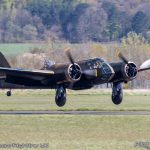 Opening the flying display proper was the Aircraft Restoration Company’s beautiful Bristol Blenheim 1F flown by John Romain. 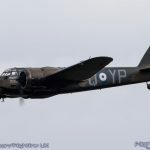 The Blenheim was the star of the show for many and certainly drew the crowds over to it parking spot on arrival at Abingdon. 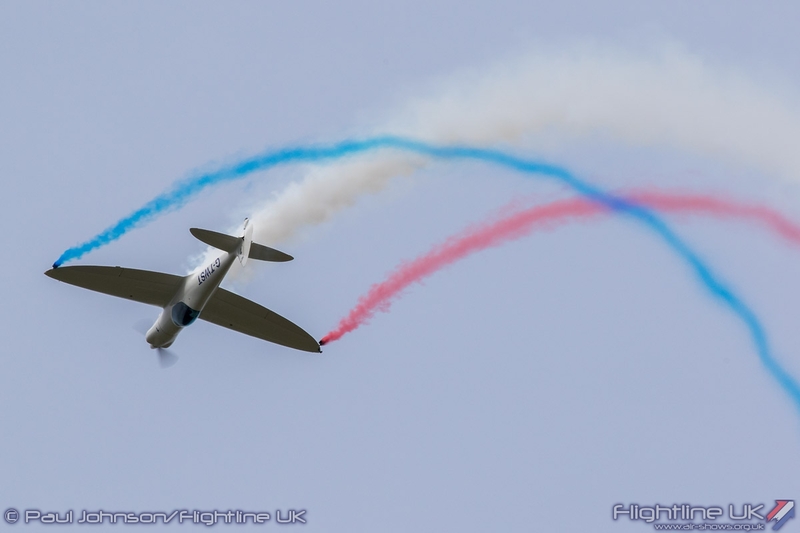 As always, John put on a wonderfully smooth routine of banked passes for the crowd before heading home to Duxford. 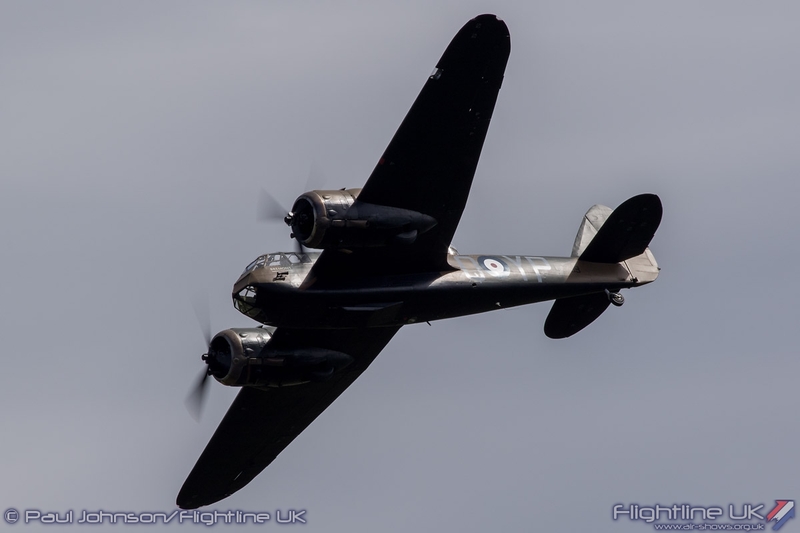 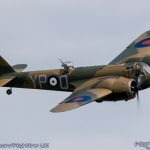 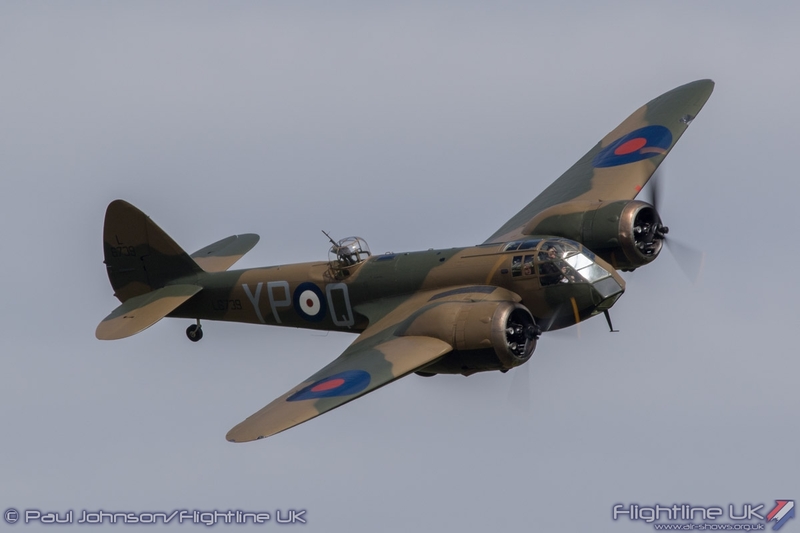 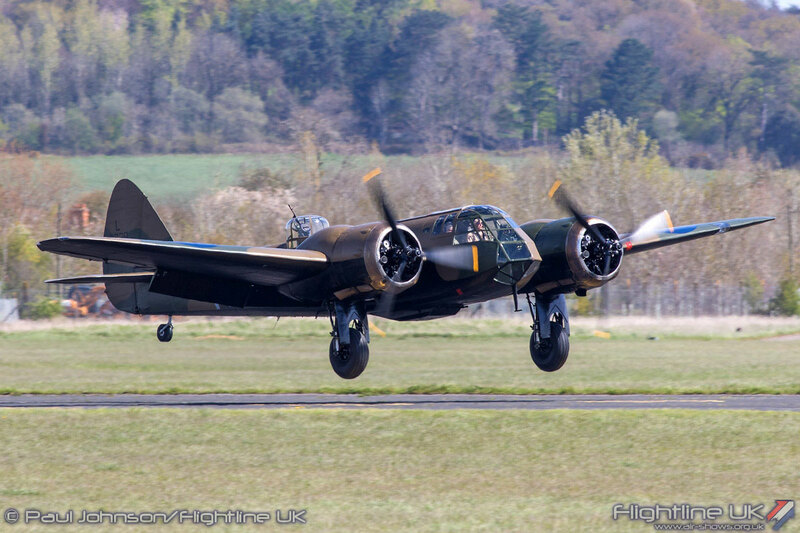 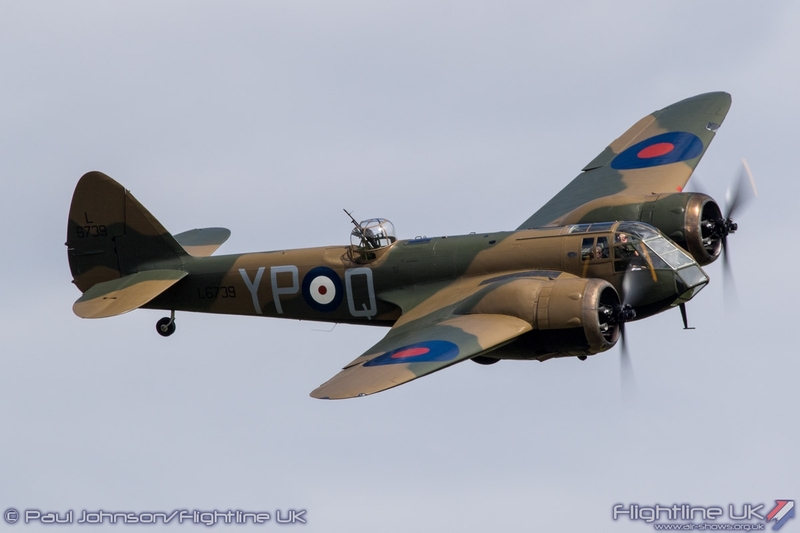 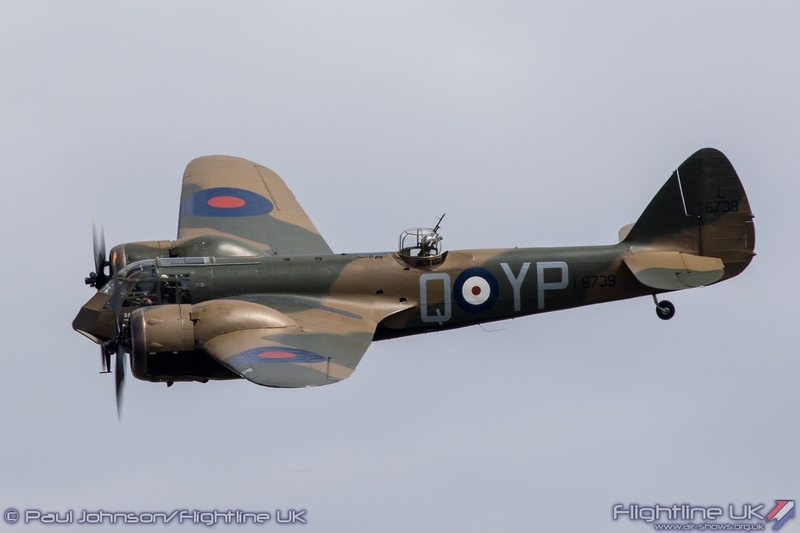 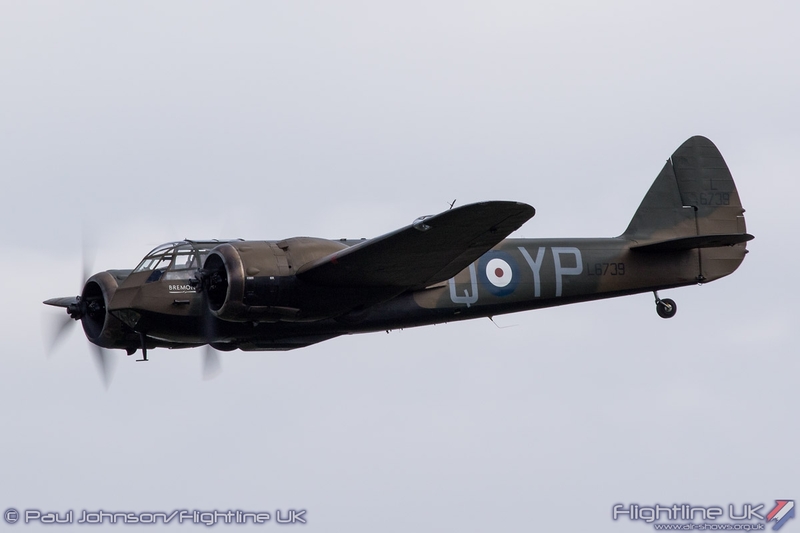 The Blenheim was just the start of the warbird displays. 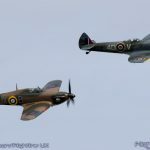 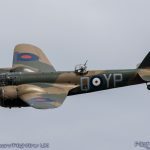 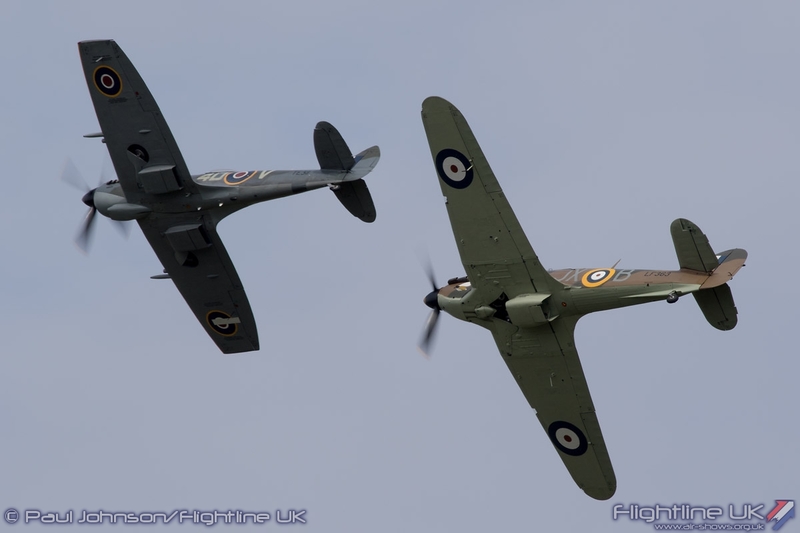 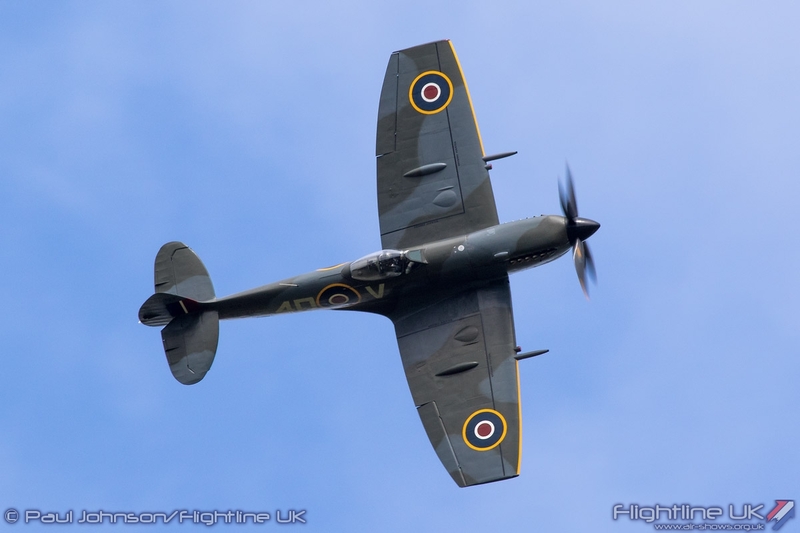 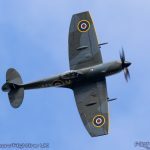 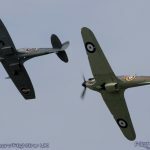 The only contribution from the Royal Air Force to the flying display this year was the Battle of Britain Memorial Flight with Supermarine Spitfire XVI TE331 and Hawker Hurricane IIc LF363 flown by Squadron Leaders Andy Milikin and Mark Discombe. 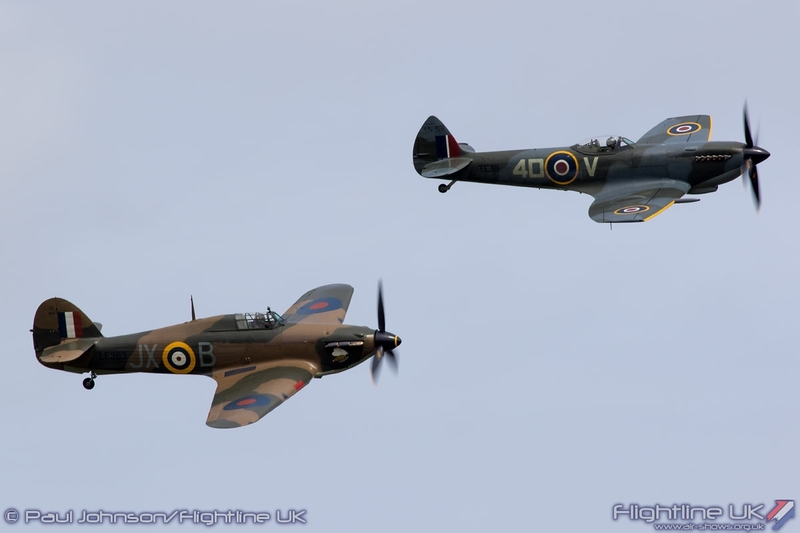 For 2016, the BBMF have varied their displays a little and that was in evidence at Abingdon with some lovely sweeping formation passes before the aircraft split into their solo routines. 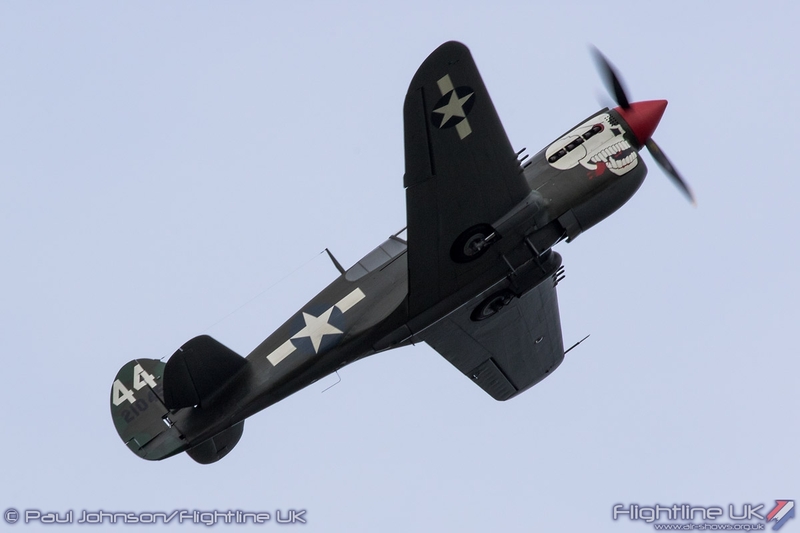 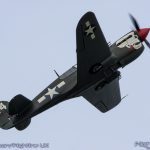 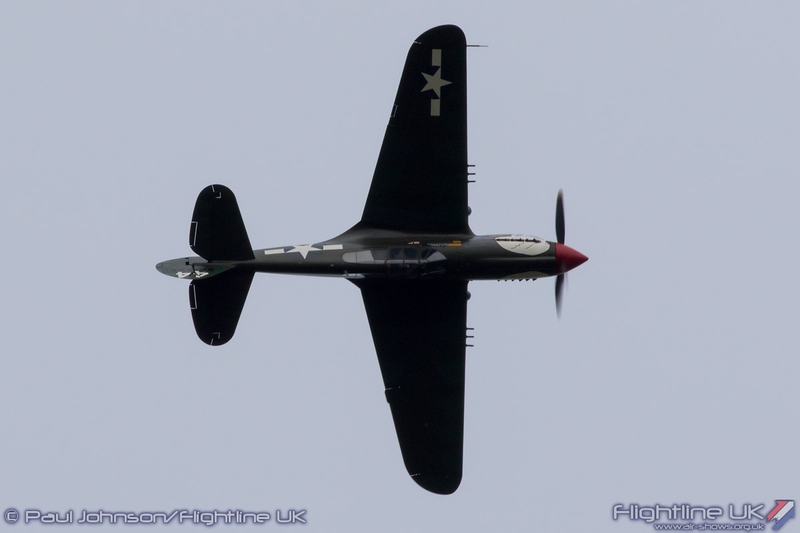 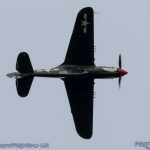 Further “fighter action” was provided by Peter Teichman flying his Curtiss P-40M Kittyhawk ‘Lulu Belle’ flying a flowing routine of loops and rolls in the grey skies. 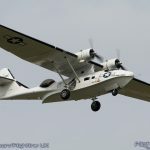 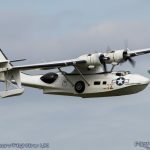 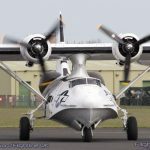 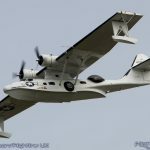 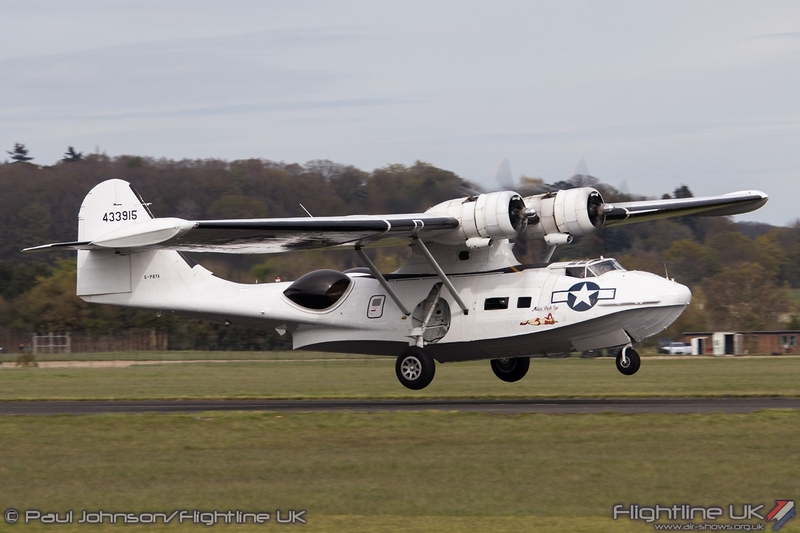 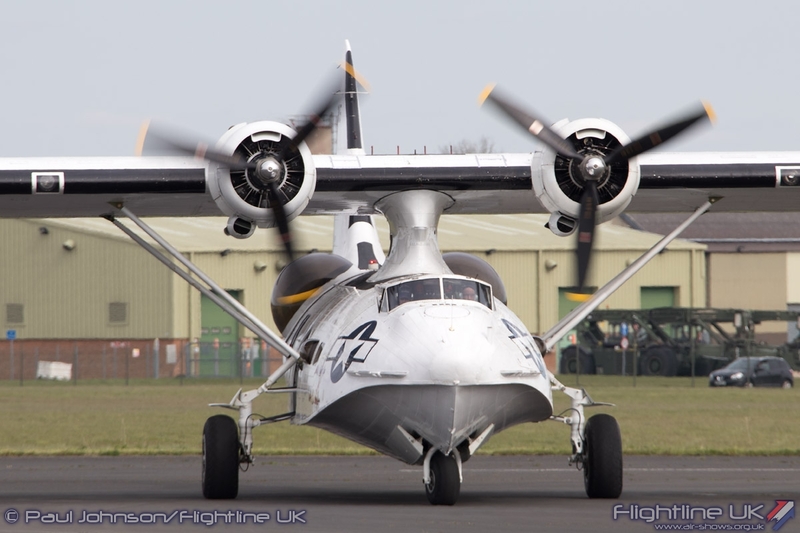 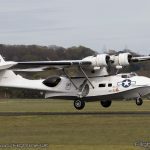 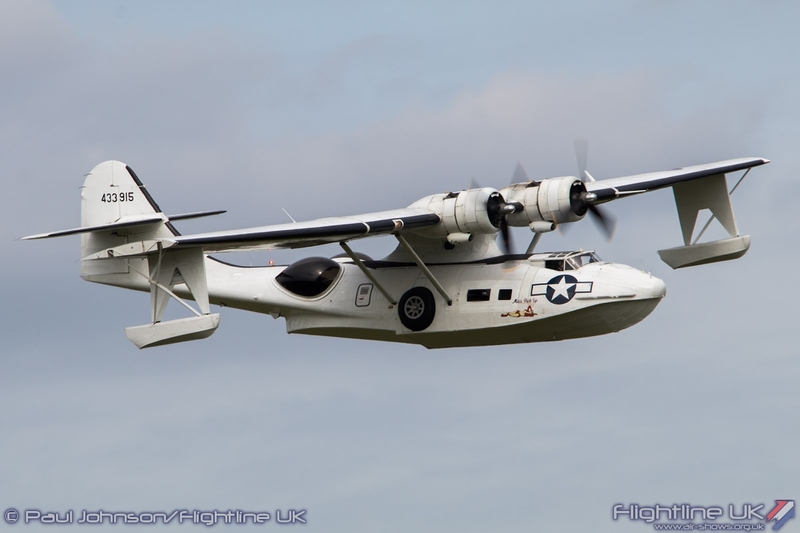 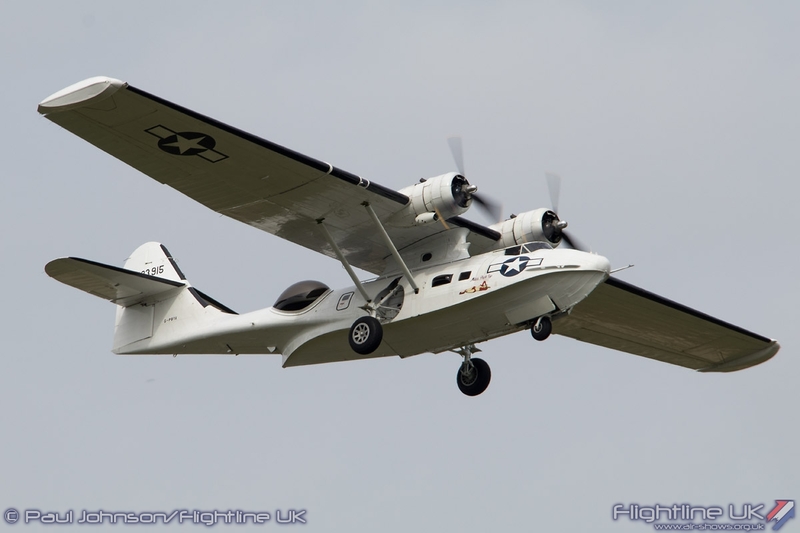 The heaviest aircraft in the display was Plane Sailing’s Consolidated PBY-5A Catalina from Duxford. 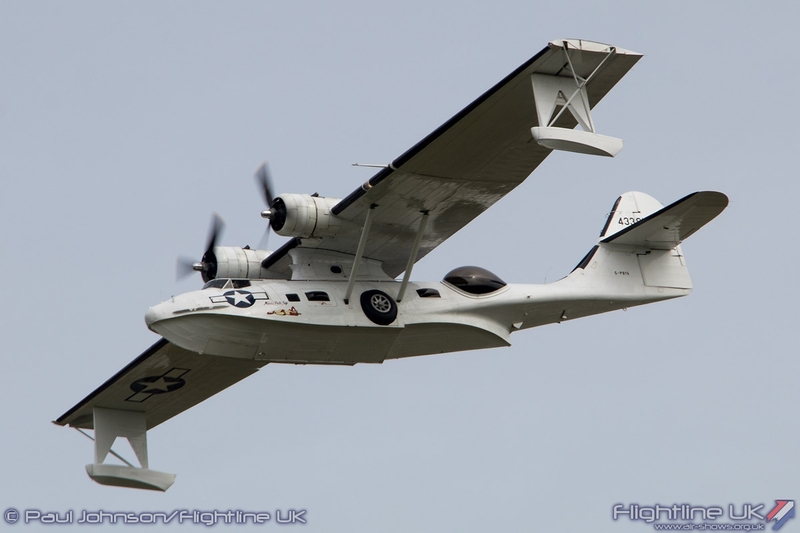 The ‘Cat’ has become something of a favourite at Abingdon in recent years as it’s also a major ground attraction for the event. 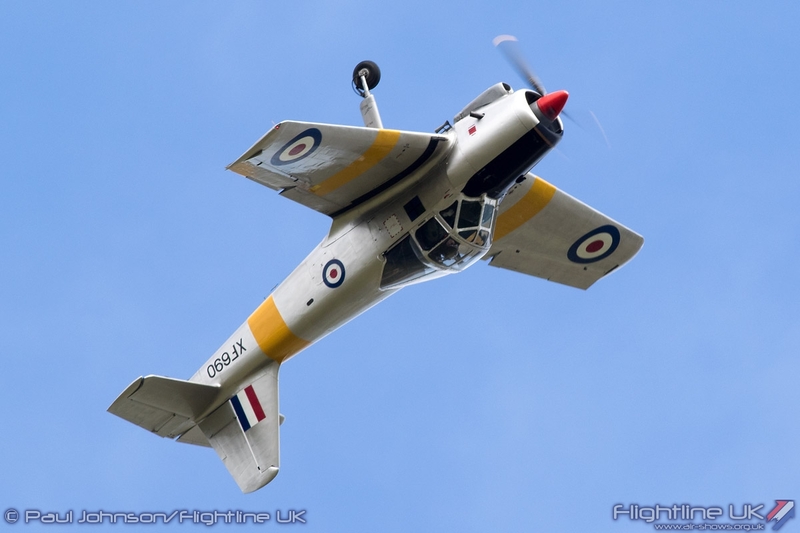 Si Wilson displayed the Yeovilton based Percival Provost T1 XF690 during the afternoon representing more recent Royal Air Force history. 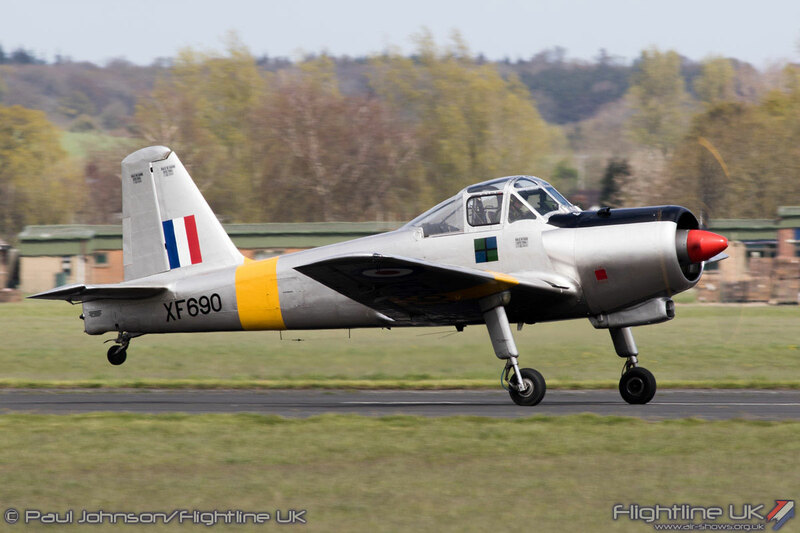 The Provost is an often forgotten RAF type thanks to its more illustrious jet powered development, but played in important role in pilot training during the early part of the Cold War. 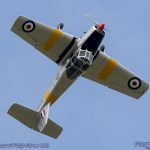 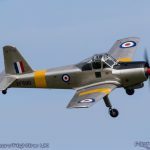 This particular aircraft is often used by the Royal Navy Historic Flight as a training aircraft giving pilots the opportunity to gain experience on powerful tailwheel aircraft before graduated to the likes of the Sea Fury. 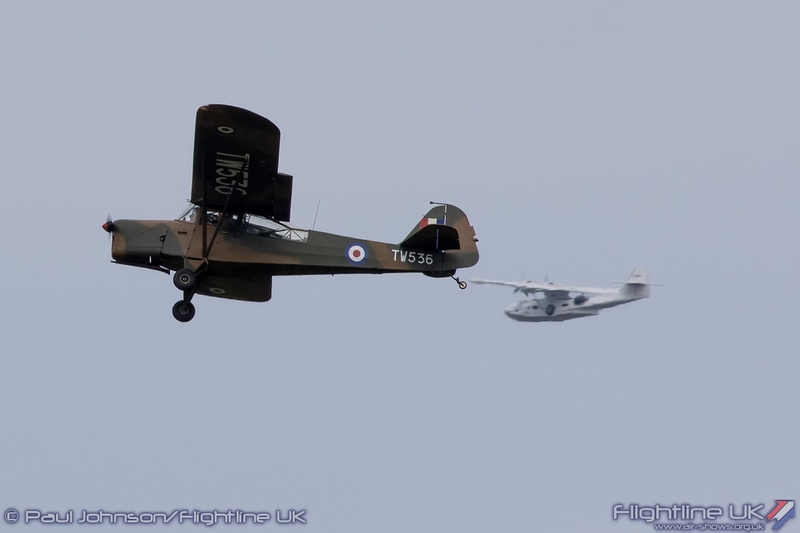 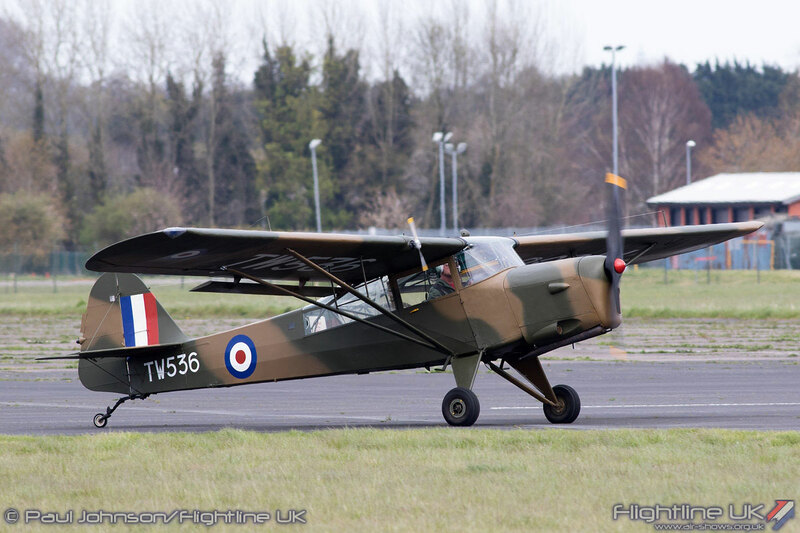 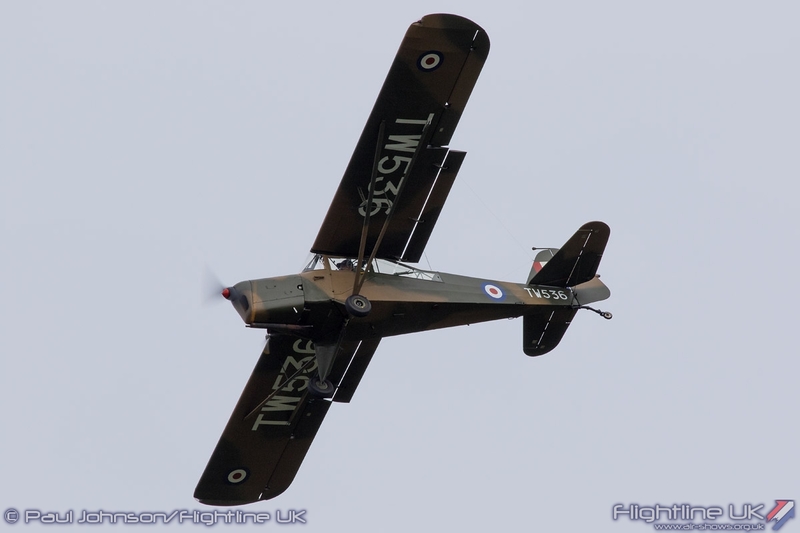 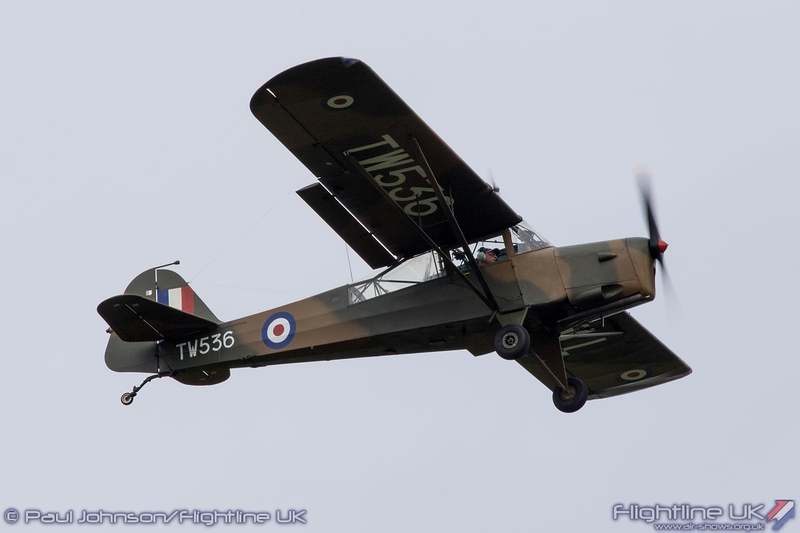 Kevin Hale made his Abingdon flying display debut with his Taylorcraft Auster AOP6 TW536. 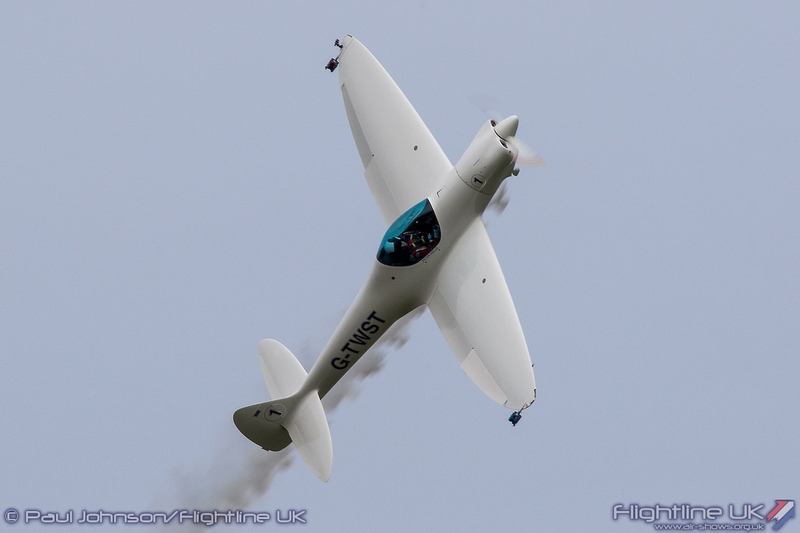 Though Kevin flew into Abingdon last year, he only made his first public display at Old Sarum in late last year. 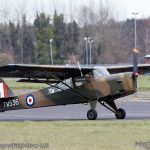 Kevin’s display highlighted some of the important slow speed flying abilities and agility required by the Army who used to Auster in the Air Observation Post role before the advent of the helicopter. 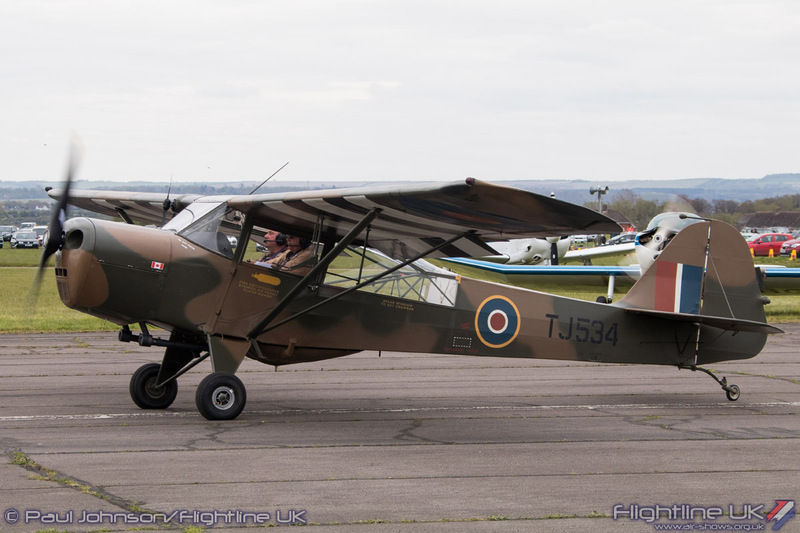 One of the most unusual displays of the afternoon was the Curtiss Wright Travelair 12W from Biggin Hill based Shipping and Airlines and flown by Dan Griffith. 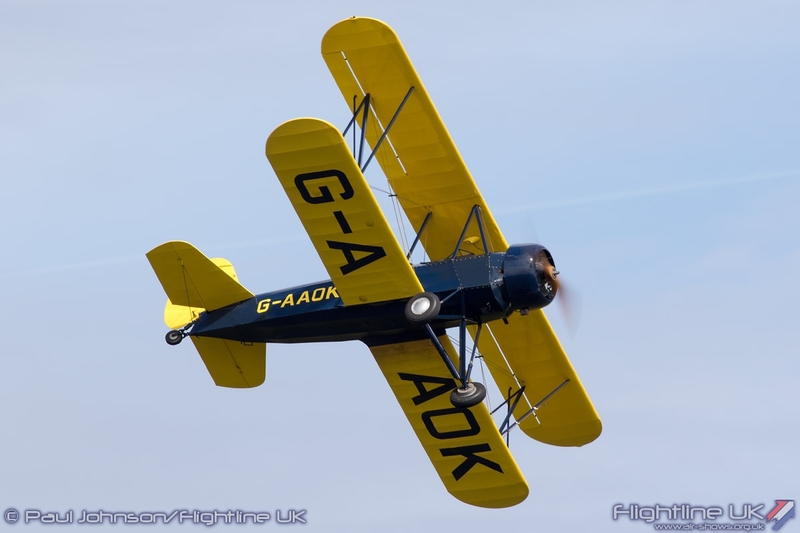 Designed as a two seat training aircraft during the 1930s, the Travelair was originally fitted with a Wright built de Havilland Gipsy engine. 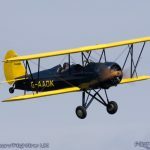 This example however was modified in the 1970’s to use a Warner Scarab engine. 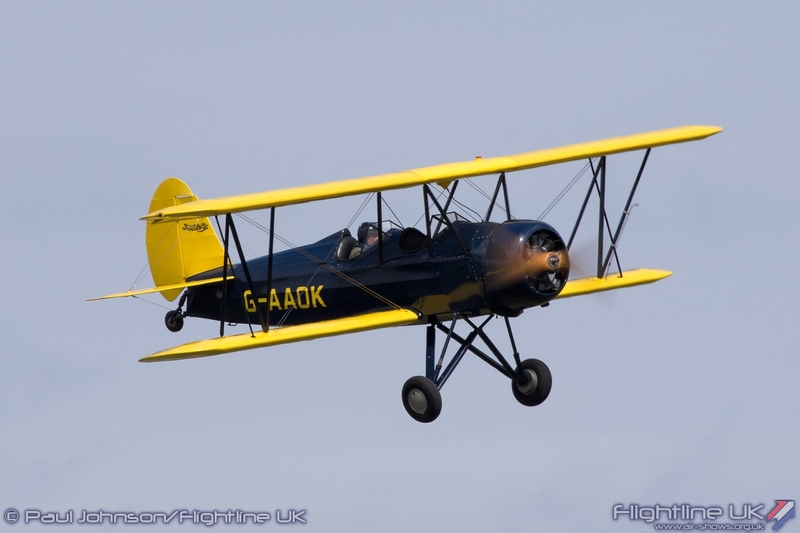 G-AAOK has been subject of 20 year restoration returning to airworthiness again in 2004. 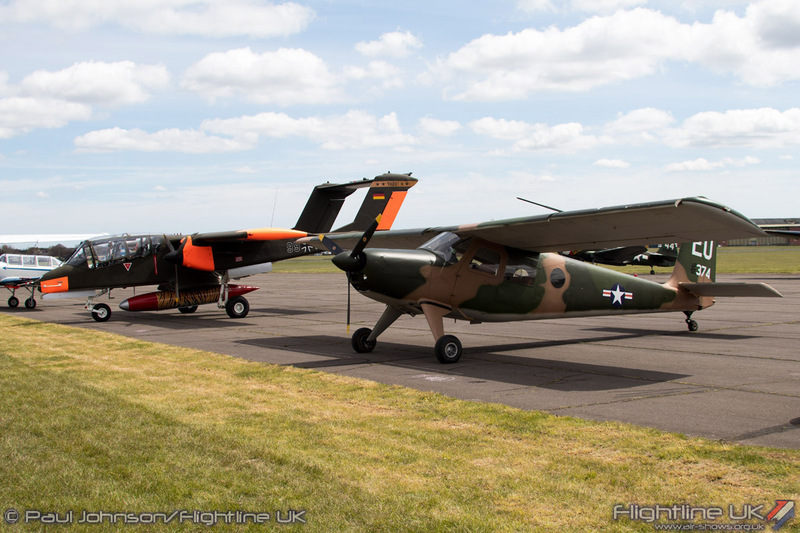 Also from Shipping and Airlines in the static display were their Miles Messenger and de Havilland Canada Chipmunk. 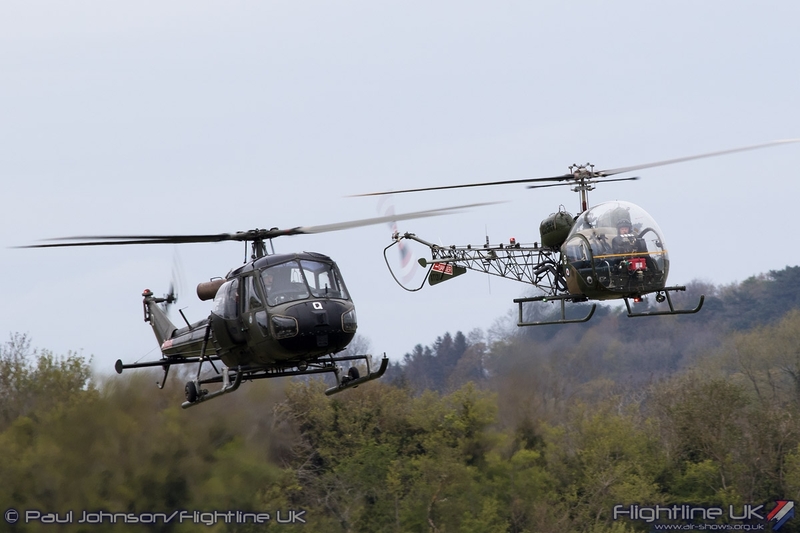 There were also a number of more modern civilian displays. 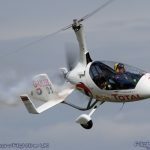 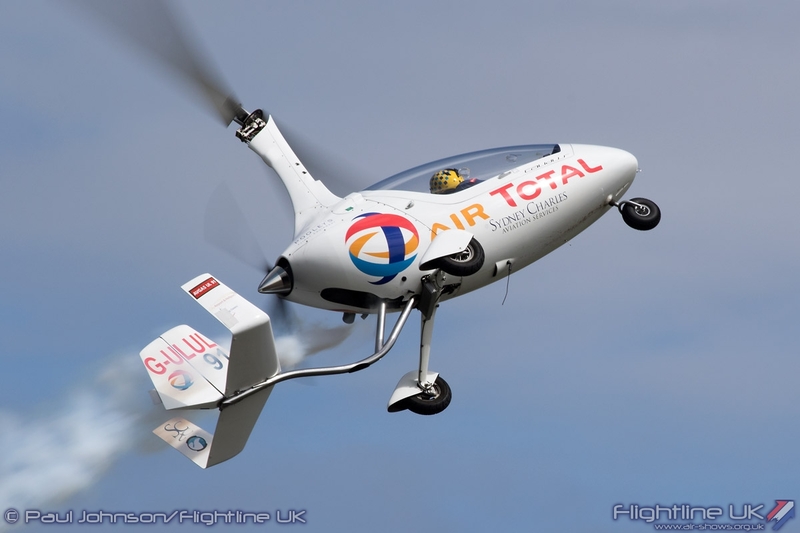 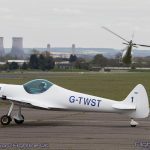 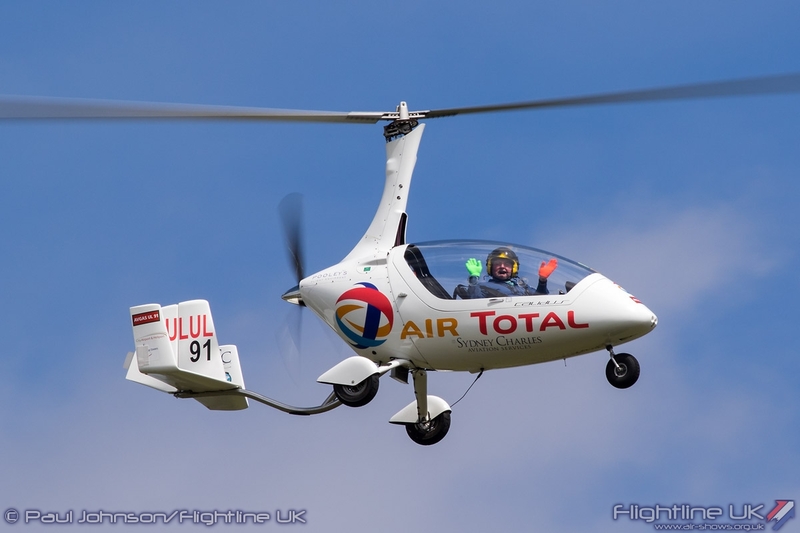 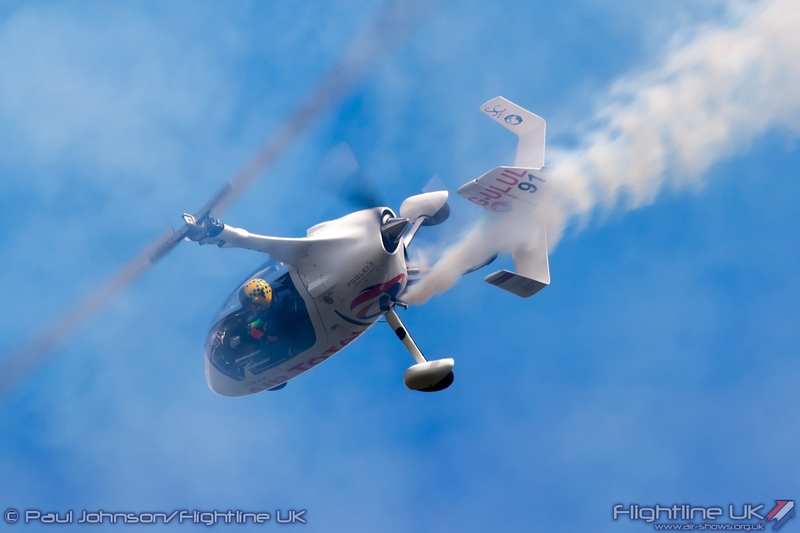 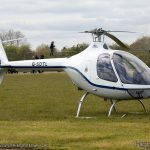 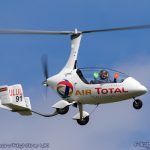 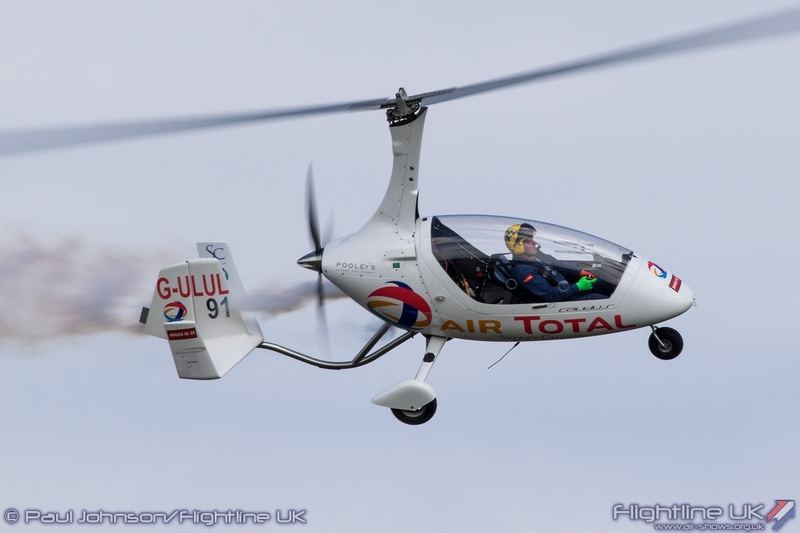 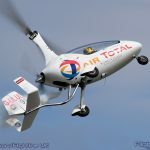 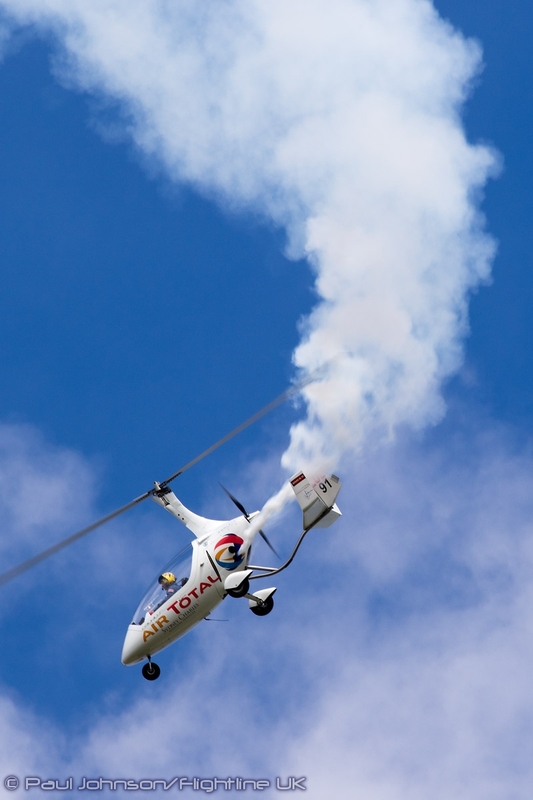 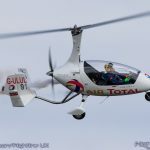 Last year, Peter Davies stole the show with his routine in the Rotorsport Calidus Autogyro and it was great to see him back. 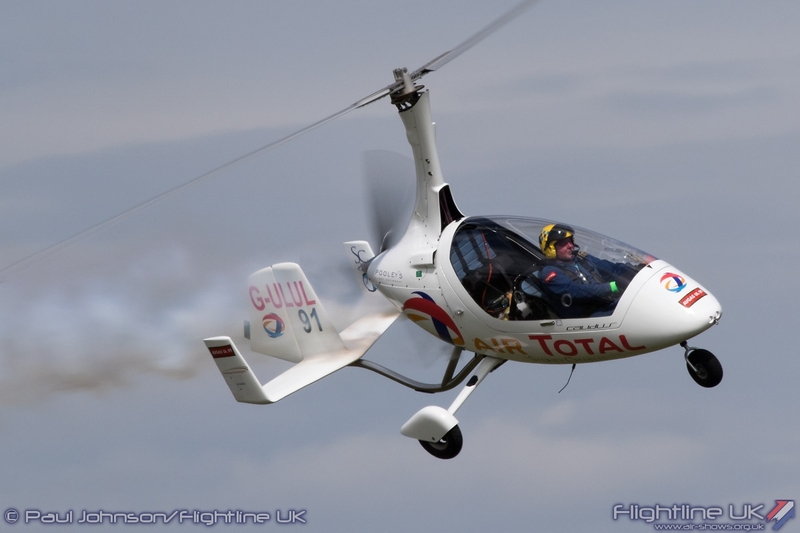 The Calidus maybe small, but Peter puts on an amazing performance keeping the action as close to the crowd as possible whilst showing the incredible agility of the gyro. 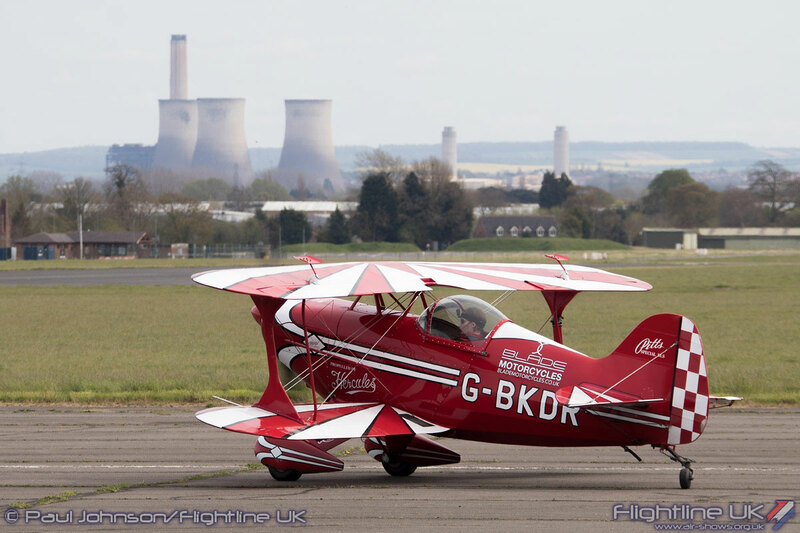 More traditional aerobatic routines came from local Peter Wells in his Silence Twister and Lauren Richardson in her Pitts S-1S Special. 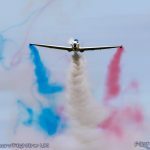 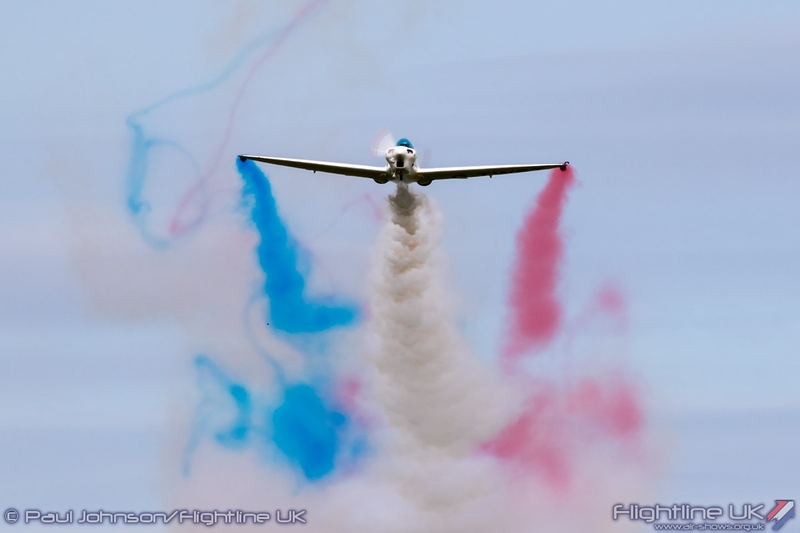 The Twister may not be a competition aerobatic aircraft, but is still very capable of putting on a very pleasing routine and Peter enhanced his display with some very patriotic smoke trails from the wingtips and engine. 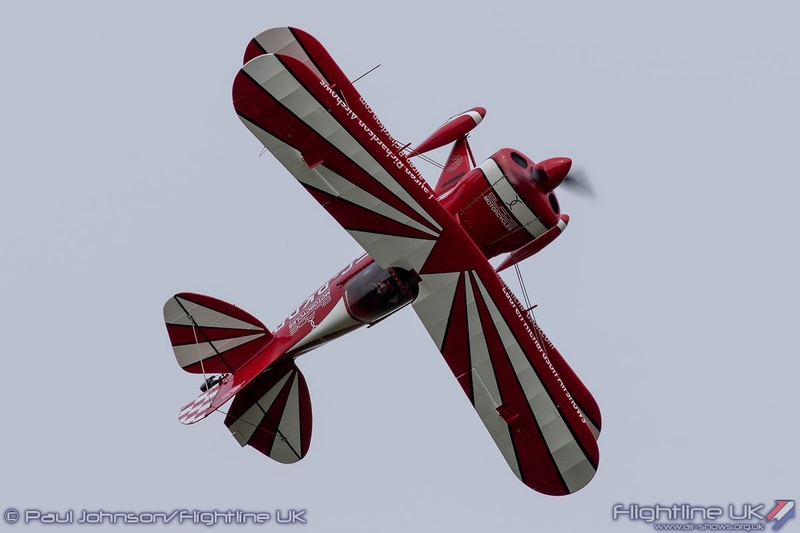 After missing a chance to display at last year’s Abingdon show due to a heavy shower that just on cue at the time she was due to display, it was good to see Lauren finally get to display this year. 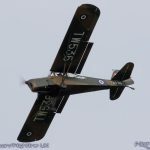 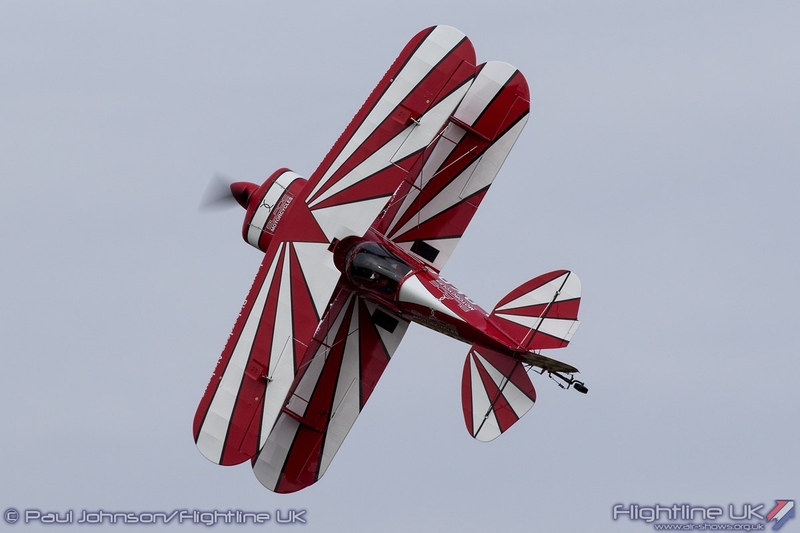 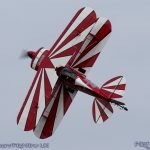 The Pitts Special is a classic airshow performer and Lauren’s display showed off the classic aerobatic biplane off at its very best. 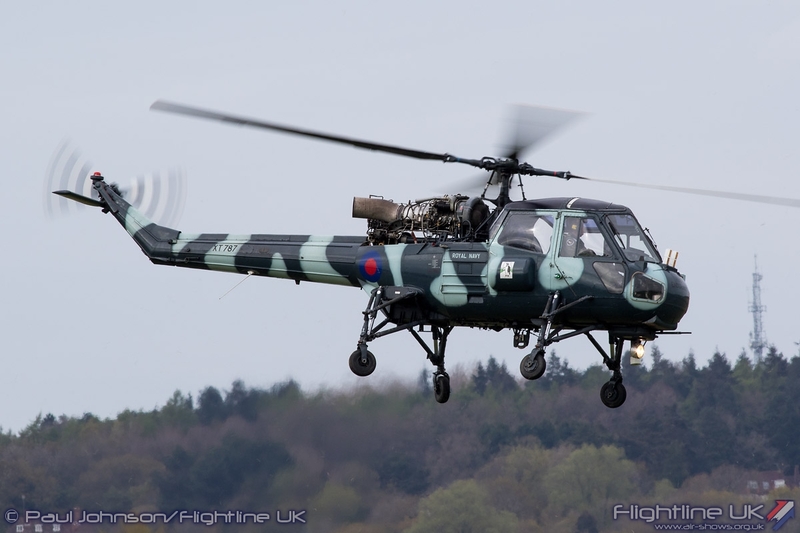 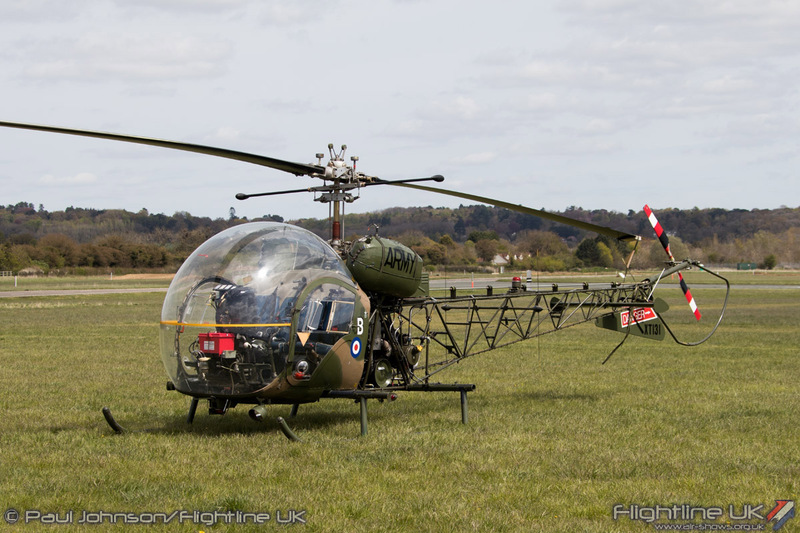 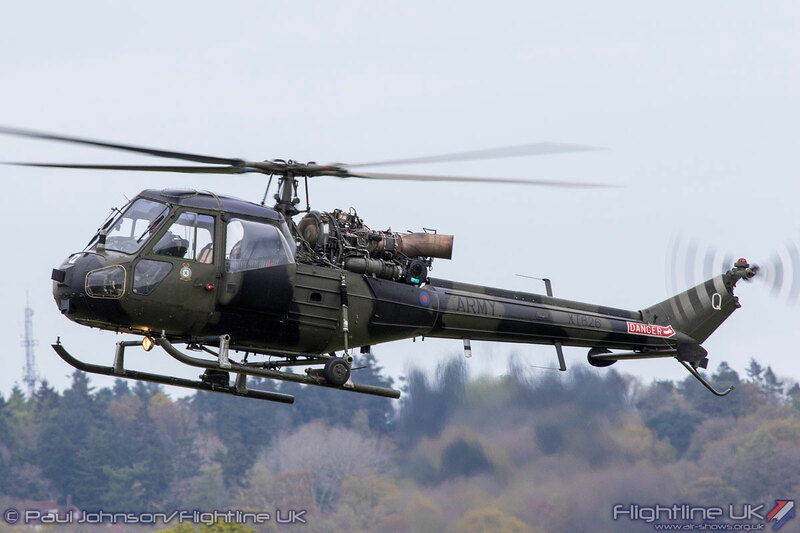 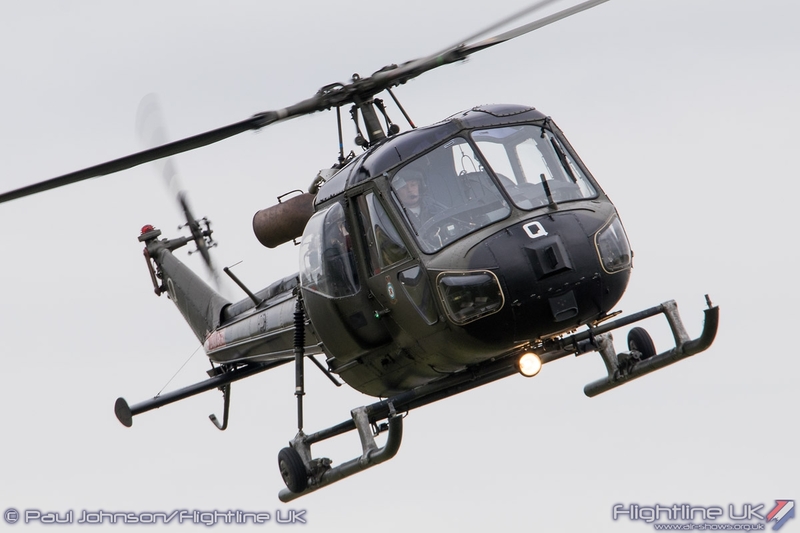 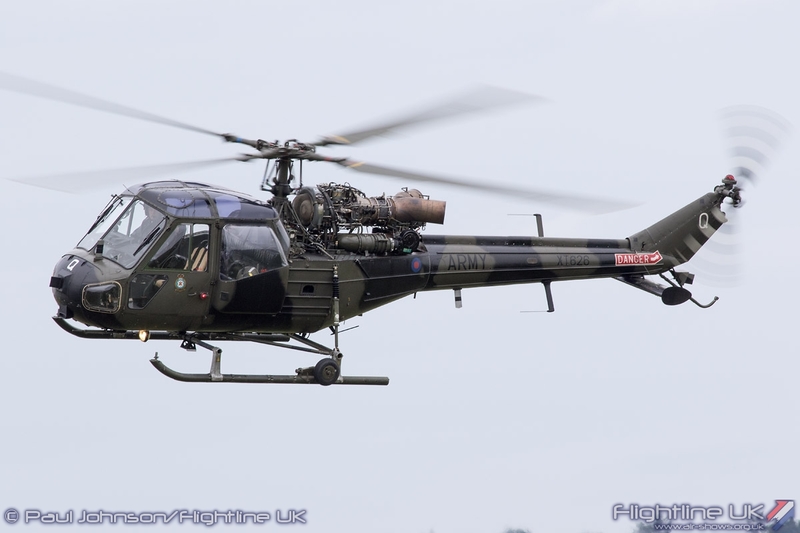 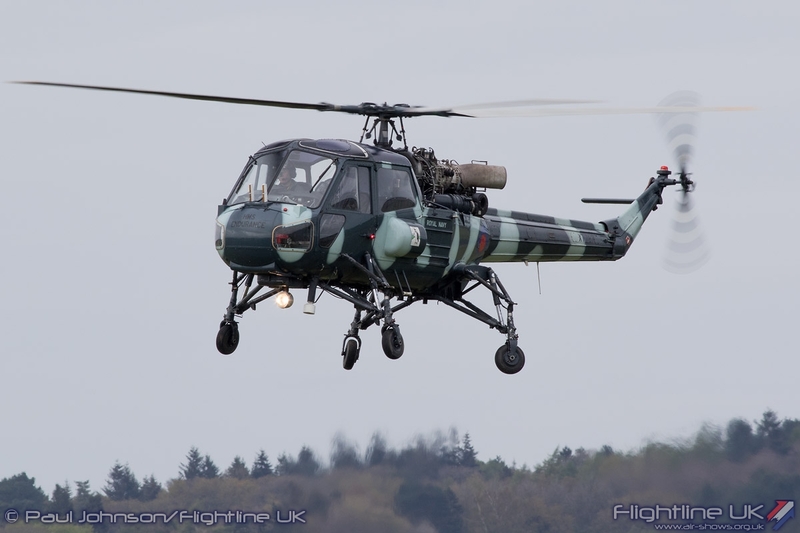 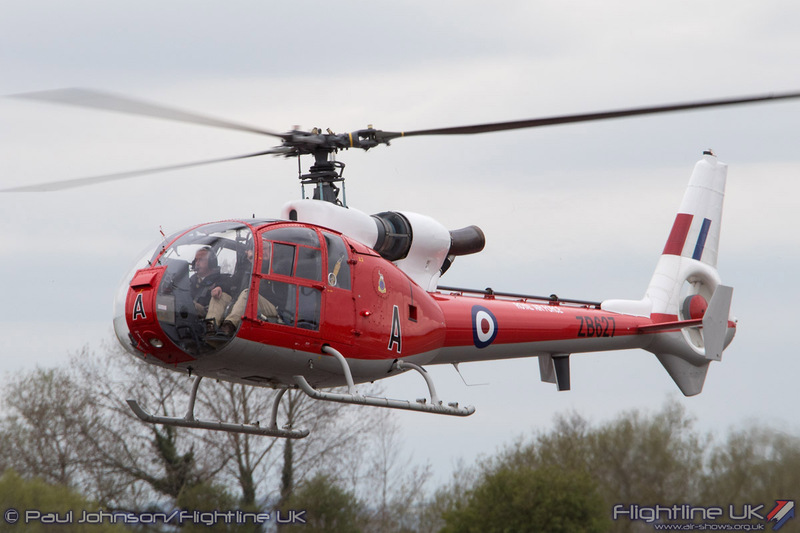 The final sequence of air displays highlighted some classic British Military helicopters. 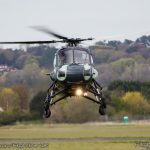 First Terry Martin displayed his Westland Wasp HAS1 XT787 which wears the unique markings of a helicopter embarked on HMS Endurance. 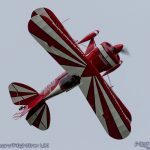 Terry put on an excellent show with some close in hovering and pirouettes as well as some slightly faster passes up and down the crowdline. 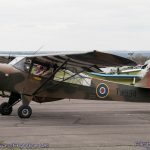 The finale came from the Army Air Corps Historic Aircraft Flight Trust who are making a very welcome return to flying displays this year. 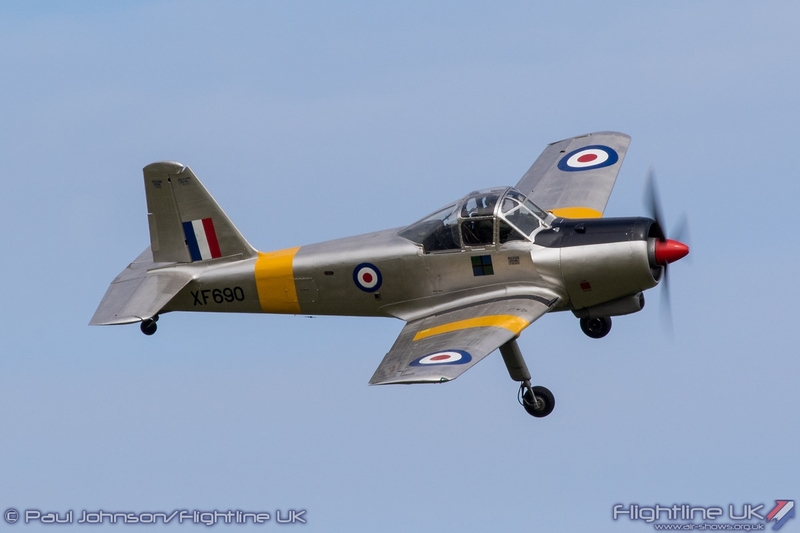 George Bacon and his small team have worked wonders changing over the aircraft from military to civilian oversight in order to get the flight in the air again over the past few years. 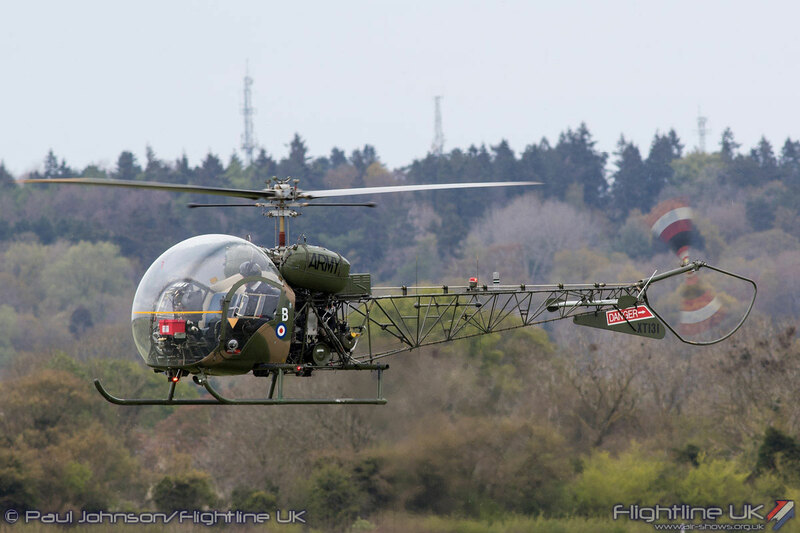 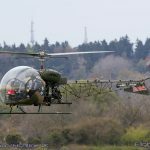 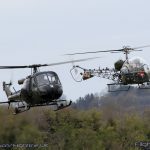 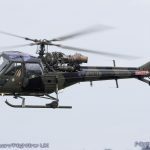 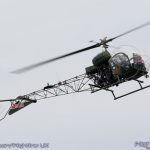 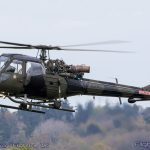 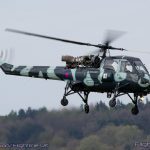 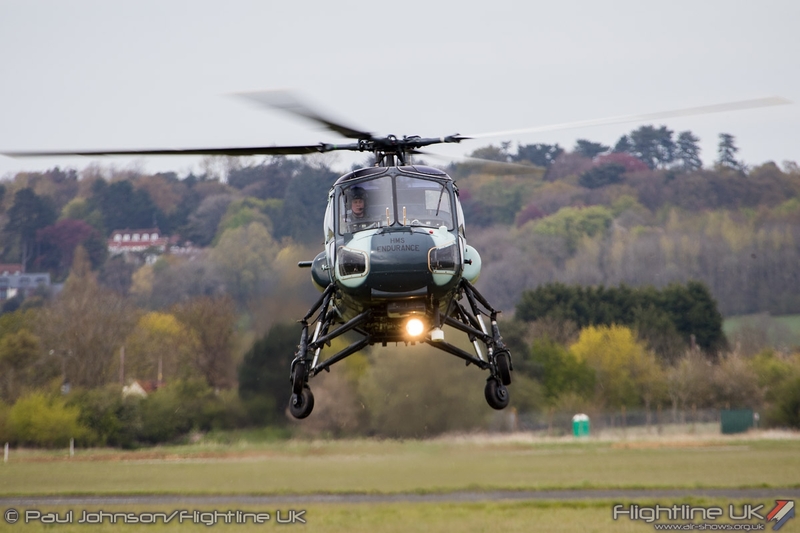 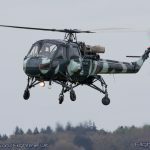 It has been a challenging process, but it is excellent to see the results with a pairs routine from the Agusta-Bell Sioux AH1 and Westland Scout AH1. 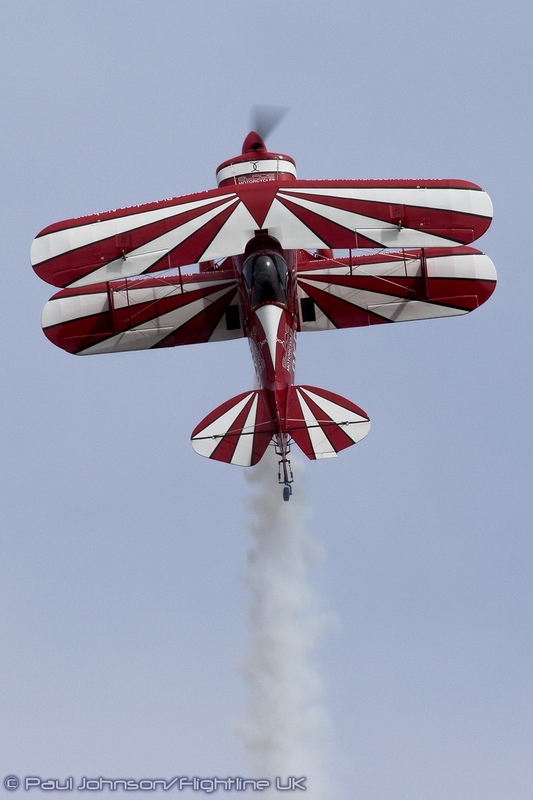 The pair, like Terry’s display before started off close in performing a classic hovering carousel before splitting into short solo routines. 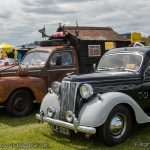 2016 was a challenging year for Abingdon’s organisers, but they certainly came up trumps with an enjoyable, entertaining and above all safe day out. 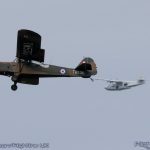 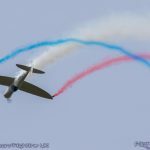 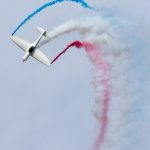 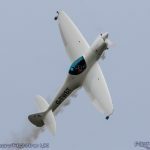 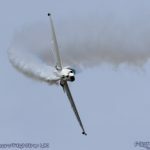 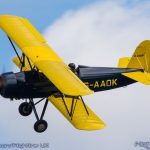 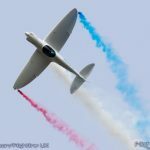 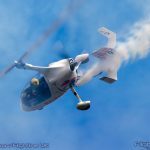 The flying displays may have been somewhat lower key and perhaps slightly more drawn out than previous years, but this is understandable considering the number of changes being made to the air display world. 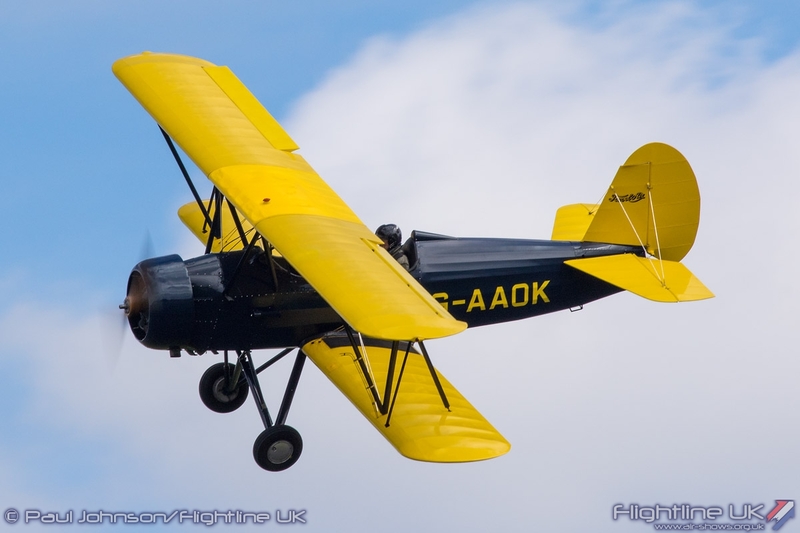 We hope very much that Abingdon had a good crowd (it looked healthy as flying got underway) and will carry on for many years into the future.